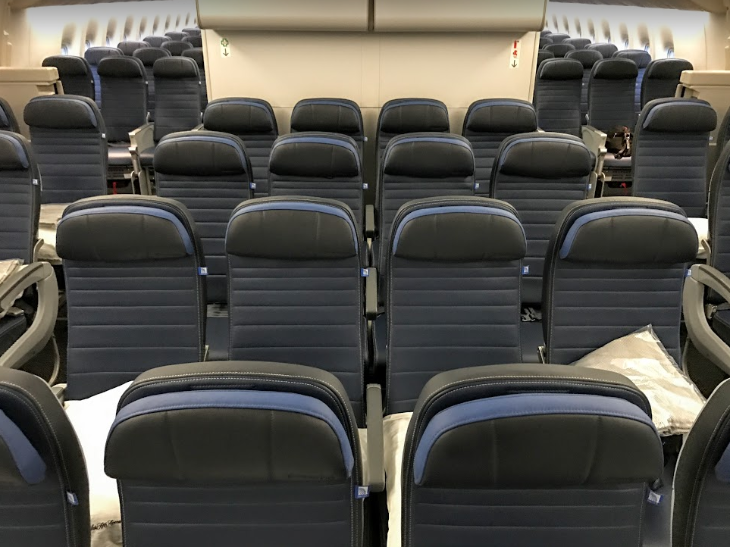 A few months ago, we reported on United’s plans to refit its international 777-200 fleet by adding about two dozen seats per aircraft, as it installs its new Polaris front cabin and reconfigures economy seating from nine-across to 10-across. And now it is cramming more seats to another aircraft model. 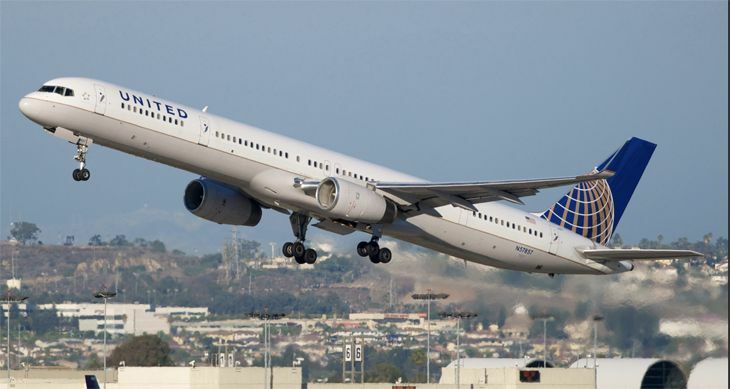 According to a report this week in FlightGlobal.com, United will turn to new “slim-line” economy seats to boost the overall seat count in its workhorse 757-300s from 213 to 234. Because the slim-line seats are less bulky than traditional economy seats, airlines can fit more of them into the main cabin, generating more revenue and reducing unit costs. United has been replacing the economy seats on its smaller single-aisle planes with the slim-line version for several years. 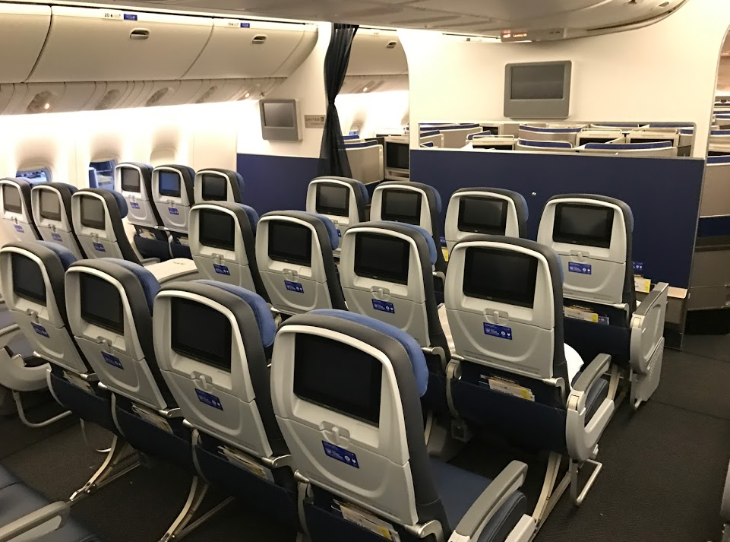 The economy cabins on United’s 757-300s will have 210 seats after the refit, FlightGlobal said, while first class will remain unchanged at 24 seats. 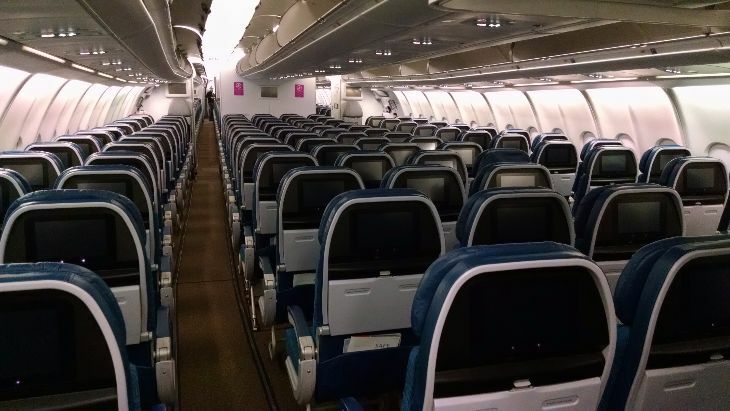 There was no immediate word on how much, or whether the 757 refit would affect seat pitch. United has 21 757-300s, which it uses mostly on high-volume routes out of its hubs at Chicago O’Hare, San Francisco and Denver. Thoughts, please on those slimline seats! 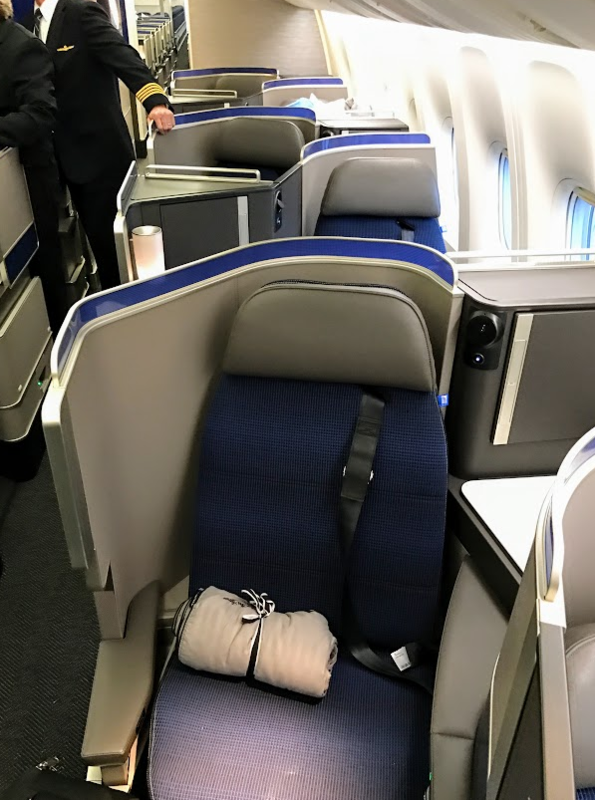 As United continues to retrofit its existing long-haul fleet with the carrier’s new lie-flat Polaris business class seating, its first overhauled 777-200 is due to start flying sometime this winter. 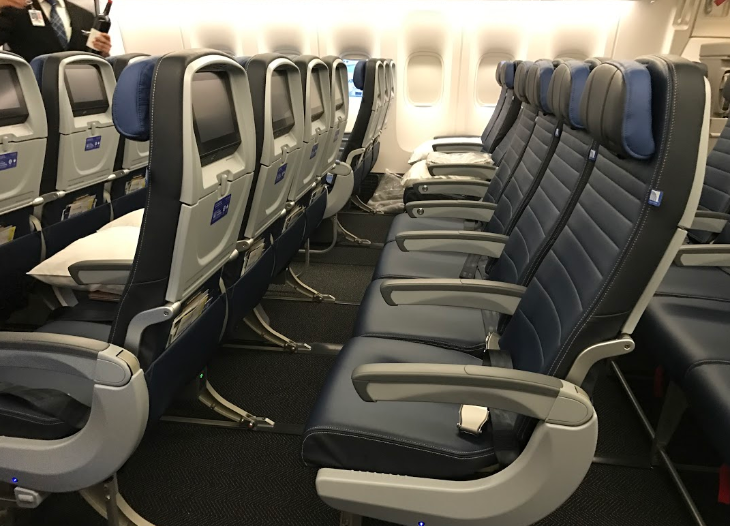 And while front-cabin flyers might appreciate the Polaris refit, with direct aisle access at every seat, main cabin travelers will find a change they might not like: 10-across seating instead of nine. 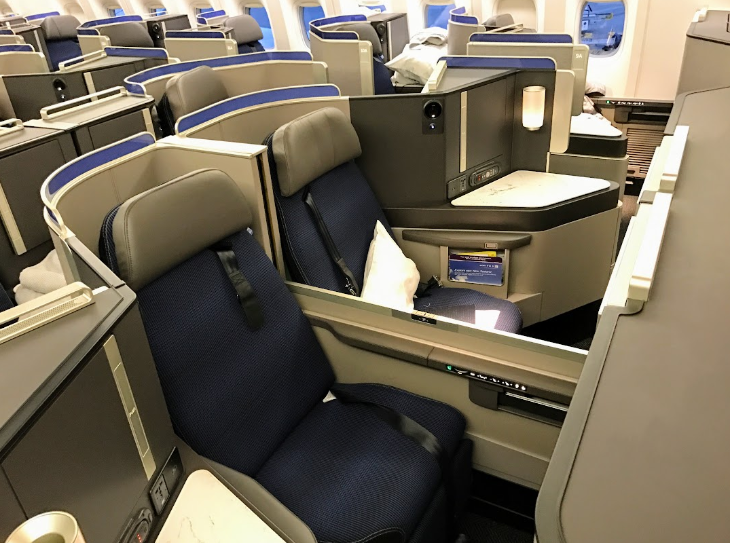 News reports in Flightglobal.com and in the Los Angeles Times say that United plans to configure its long-haul 777-200s with 50 Polaris seats and 242 economy seats – about two dozen more economy seats than the aircraft currently have, depending on the specific model. By going from nine seats to 10-across in coach, United will be bringing its 777-200s to the same standard as its new 777-300ERs, in which it introduced its new Polaris cabin earlier this year. 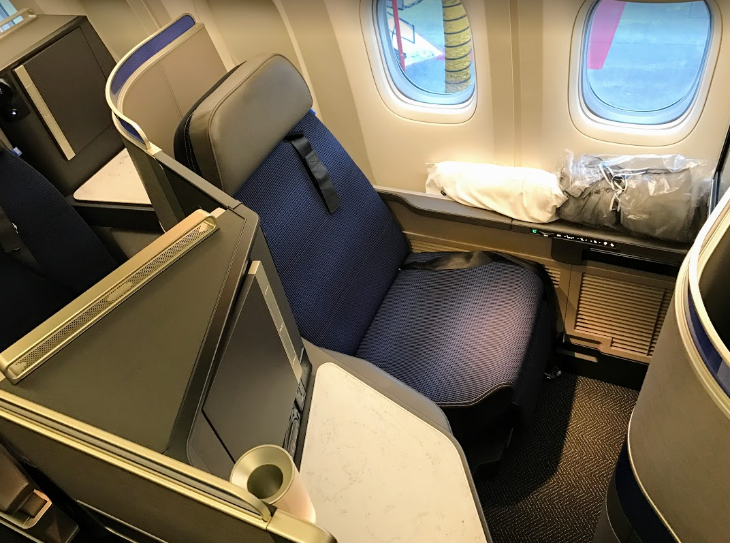 While United now refers to all its business class cabins as Polaris, as of last month only 15 planes had the new lie-flat, angled seats in the front cabin – 14 new 777-300ERs and one retrofitted 767-300. United’s total long-haul fleet includes some 200 aircraft. The first retrofitted 767-300 recently went into service on the Newark-London Heathrow route, and United expects to have 14 overhauled 767s in service by the end of next year. Most of the new 777-300ERs in service are on transpacific routes. 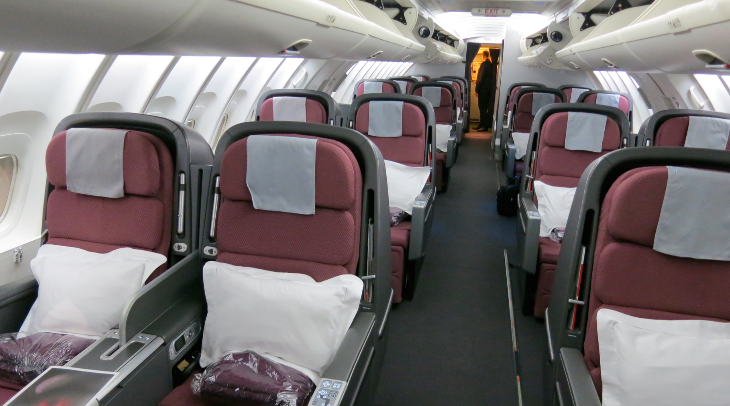 Unlike the larger 777s, the refitted 767-300s will still have seven-across economy seating after the retrofit. Some 90 United 777-200s are due to get the 10-across seating overhaul in the next few years, and on the plus side, they will reportedly preserve their existing seat pitch in the main cabin – 31 inches for regular economy seats and 34 for Economy Plus. United already has 10-across seating in some 777s that are used mainly on domestic routes (those planes are not getting the new Polaris front cabin). In recent years, many of the world’s airlines have been shifting their 777 configurations from nine-across to 10 across. There was no immediate word on how the new layout would affect seat width on the United 777-200s. 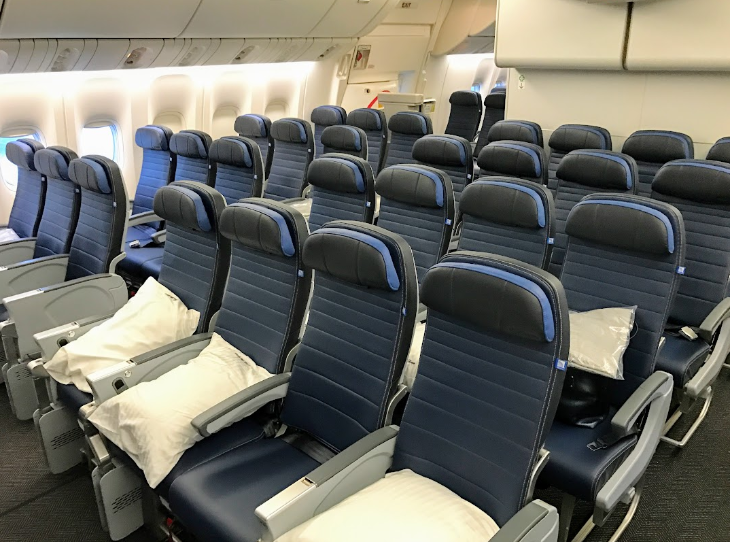 According to Seatguru.com, United’s higher-density domestic 777-200s have 10-across coach seats that are 17.1 inches wide, vs. 18 or 18.3 inches on its nine-across international 777-200s. Its new 777-300ERs have 10-across seats that are 17 inches wide, so it’s probably a safe bet that the economy seats on the reconfigured 777-200s will also be 17 inches wide. 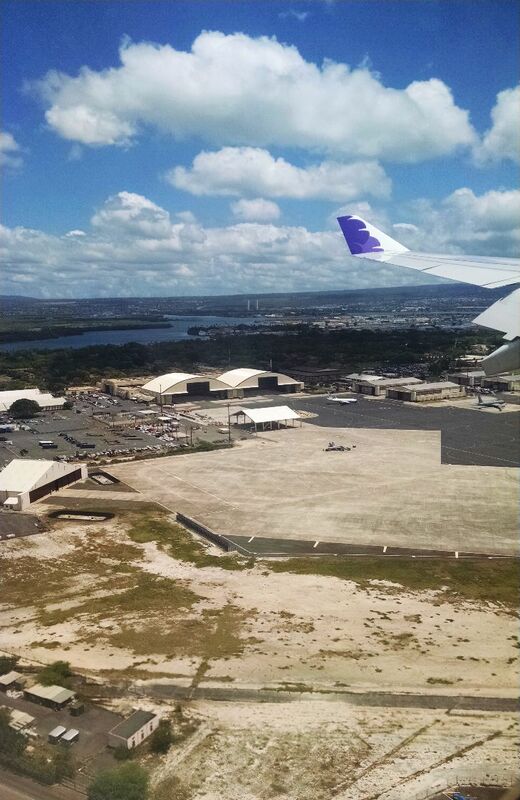 I’ve been to Honolulu several times and have always enjoyed flying Hawaiian Airlines. After a two-year break from visiting Oahu, I bought a roundtrip Economy ticket in mid-December for $588. I flew from SFO to HNL in June and got to check out some of the new features on their Airbus A330. Chris contacted Hawaiian Airlines in advance and arranged for me to get on the plane before boarding to snap some photos. The crew seemed to be in a bit of a rush but they were very kind and welcoming. I checked out the sleek new lie-flat seats in the Premium Cabin first. 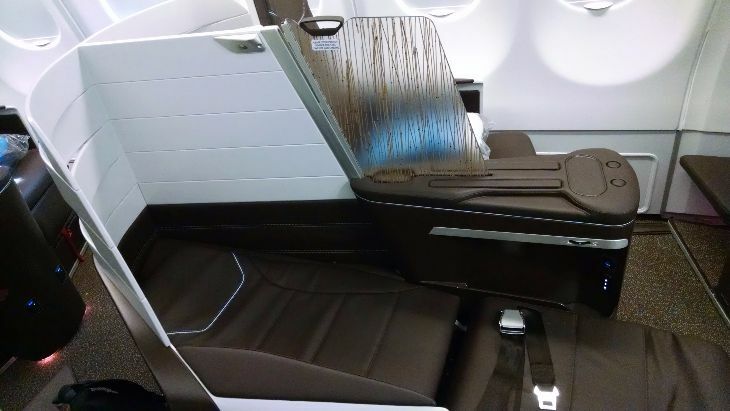 The lie-flat seats are in sets of two (2-2-2) with nature-inspired dividers in the center that you can pull up out of the arm rest for privacy. The reclining wheel in the arm rest allows for passengers to lie flat or find the perfect spot for them anywhere between flat and upright. When the seat is completely flat, it connects to the footrest efficiently adding length for comfort. The modern design includes plenty of in-seat power with two USB ports and an AC port in each seat. Passengers in the premium cabin are given tablets to enjoy in-flight entertainment which they can place on the adjustable retractable tablet stand in the arm rest. After taking a moment to enjoy the lie-flat seat, I moved on to check out the Extra Comfort seats. These seats are similar to the Economy seats in appearance, but they have extra leg room and come with a few additional amenities. Extra Comfort seats have a pitch of 36 inches which was more than enough room for me, at 5’4’’, to fully extend my legs while seated. 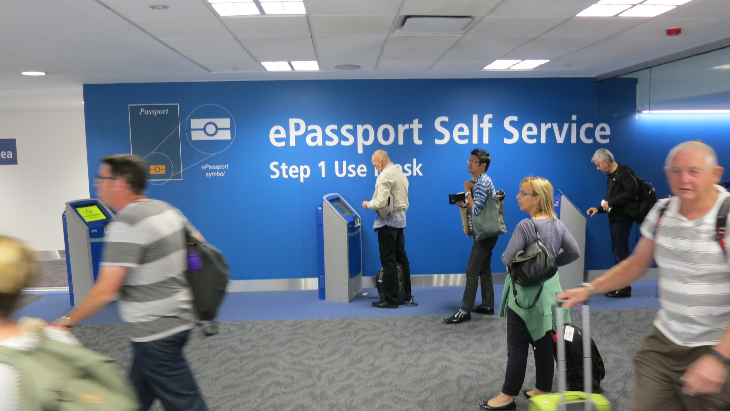 In addition to the spare room to stretch out Extra Comfort passengers receive benefits like priority boarding and access to a priority security line at select airports, including SFO. After I took photos of the premium and Extra Comfort seats, it was just about time to board. I went back to the gate to meet my family and then made my way to the Economy seats noting the nice and relaxing Hawaiian music that played throughout the cabin. I always claim the window seat and got comfortable in 37A with my sister seated next to me in 37B. 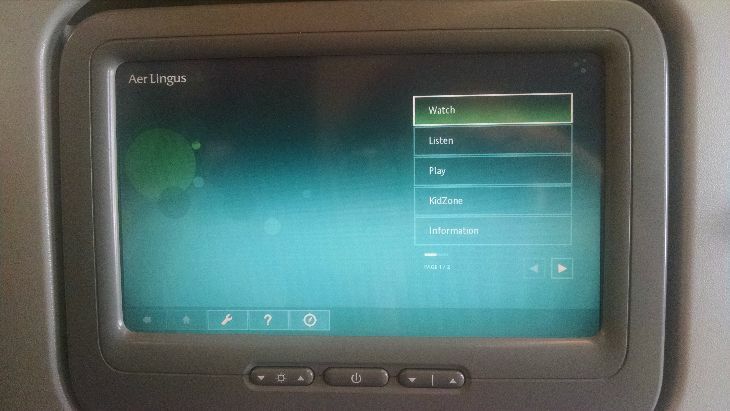 Check out Hawaiian’s A330 layout on Seatguru– note that this is Version 2 with the new Premium Class seats. 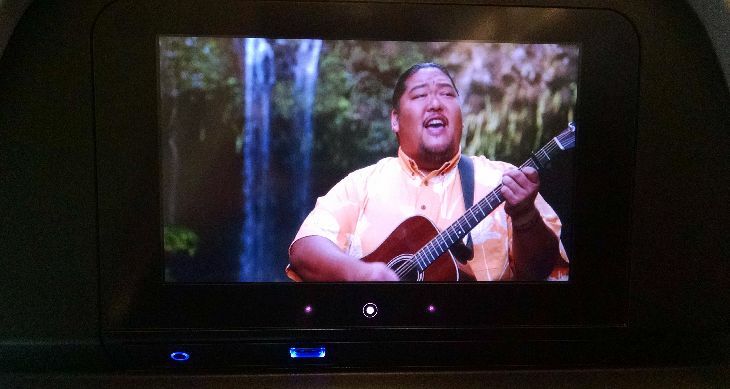 I was feeling a little stressed after guiding my family through the airport, so I really appreciated watching Hawaiian musicians play calming and welcoming songs on the seatback entertainment screen before takeoff. Hawaiian Airlines offers an unlimited television and film package for $7.99, but I never pay for in-flight entertainment and opted to flip through the Hawaiian Airlines magazine. The magazine is called Hana Hou! meaning “Encore!” They always have interesting stories about local businesses, Hawaiian culture, and art. I particularly enjoyed its interview with the creator of Hawaiian Ola noni beverages that I love drinking for an energy boost. 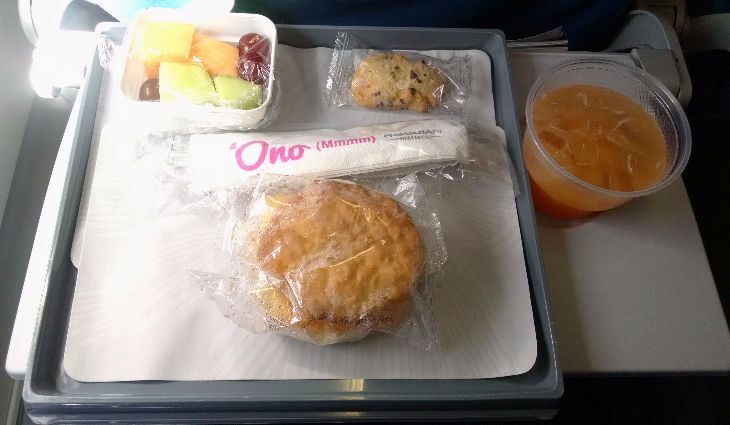 For the morning meal service, Economy class passengers received a hot breakfast sandwich, fruit, and a cookie from the Honolulu Cookie Company. I decided to have some guava juice with my meal as well. I ate the fruit first which was nothing spectacular, but it was refreshing. The sandwich was really heavy and tasted mostly like buttery biscuit to me. I’m not usually keen on biscuits, but I ate the whole thing hoping that it would help me fall asleep; it definitely did. My favorite part of the meal was the chocolate chip macadamia cookie. 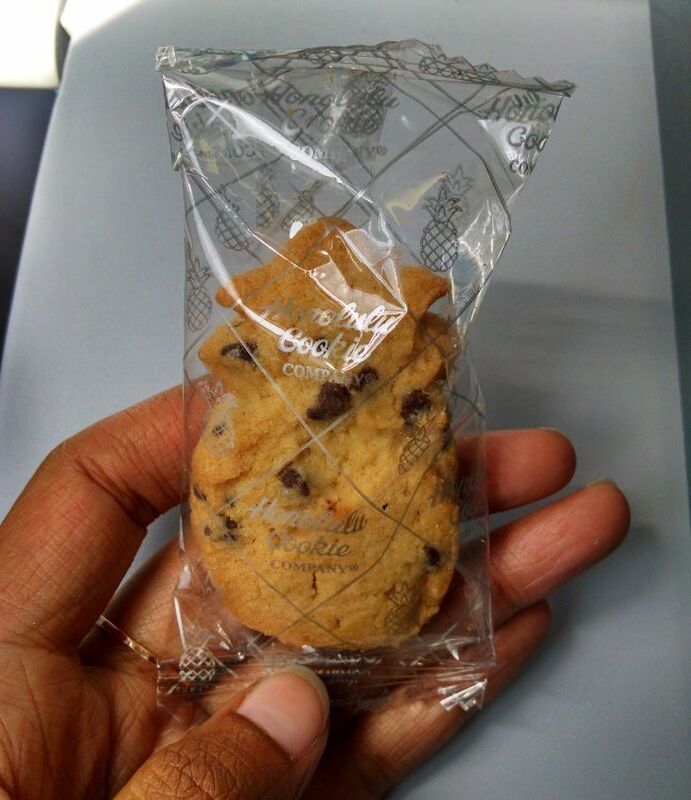 I love these cookies from the Honolulu Cookie Company but rarely buy them because I find them to be a bit pricey, so I was excited to enjoy one for free on the flight. After the meal service, I tuned in to one of the free Hawaiian music radio stations and dozed off. 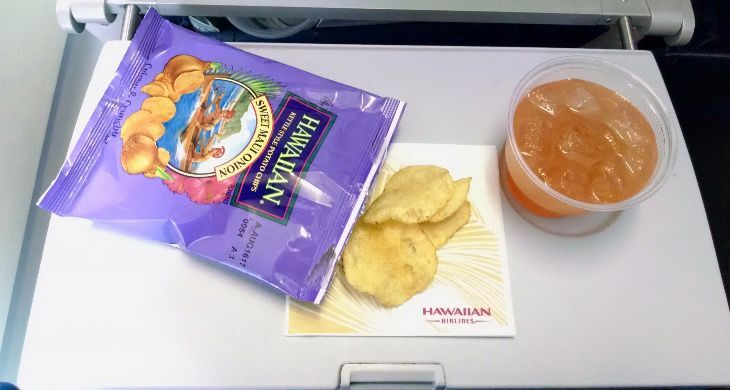 I woke up a little over an hour before we landed just in time to receive my complimentary snack and cocktail. 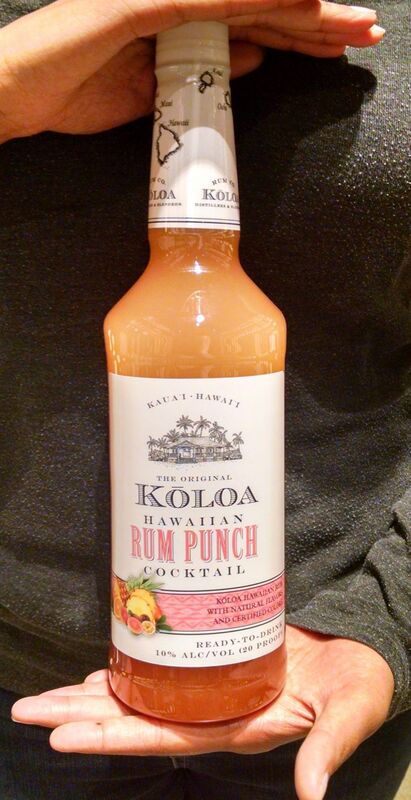 The cocktail was Hawaiian rum punch made by the Koloa Rum Company. The premixed cocktail had Koloa white rum from Kauai, lilikoi (passionfruit), orange, guava puree, and locally sourced cane sugar. I was worried it would be too sweet for me, but it was actually really well-balanced and delicious with my Sweet Maui Onion Hawaiian Chips. 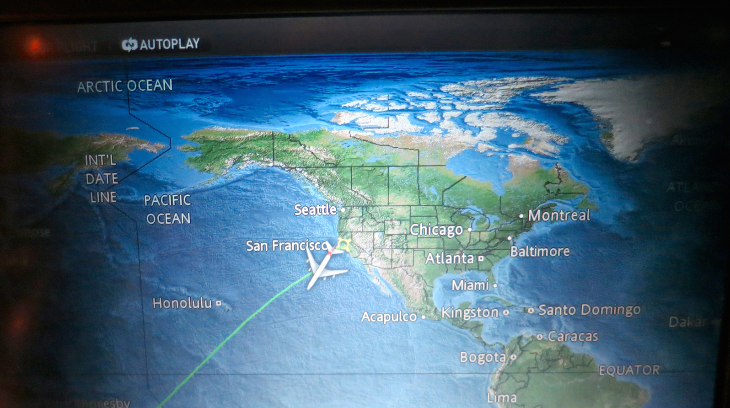 Although we left SFO a little late, we landed in Honolulu on time at 11:45am. Overall, our flight was smooth and enjoyable as all of my flights with Hawaiian Airlines have been. I really appreciate the effort that they put in to making passengers feel comfortable and welcomed. 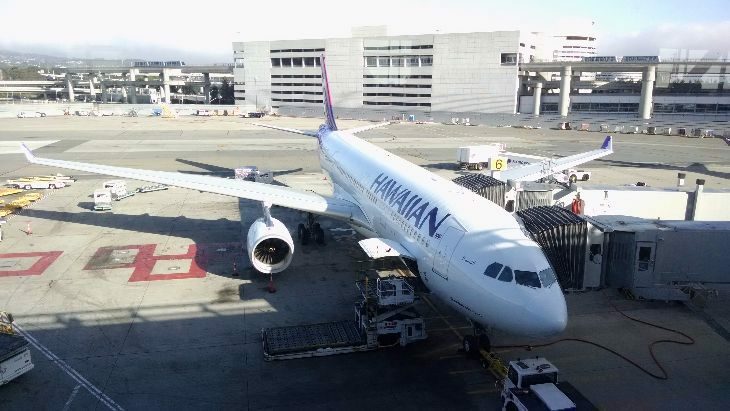 Two weeks later, my family and I returned to SFO with Hawaiian Airlines. 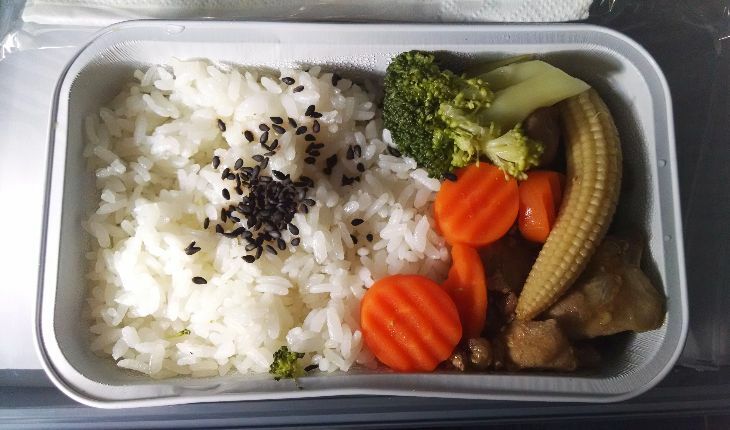 On this flight, I was really looking forward to the afternoon meal service since the airline usually serves a stir-fry and rice which is one of my favorite comfort meals in economy class. On this flight, I had a chicken and vegetable stir-fry with white rice, coleslaw, and a cookie from Honolulu’s La Tour Bakehouse. Complimentary red or white wine was offered with this meal, but I opted for a POG (passion orange guava) juice instead. I fought the urge to fall asleep and stayed up for the majority of this flight reading and glancing out the window. I love when I can catch the sunrise or sunset during a flight and was happy to see the sun setting shortly before we landed at SFO. It was a beautiful way to end a long vacation. Don’t miss! Our Trip Report archive tab at the top of this page! 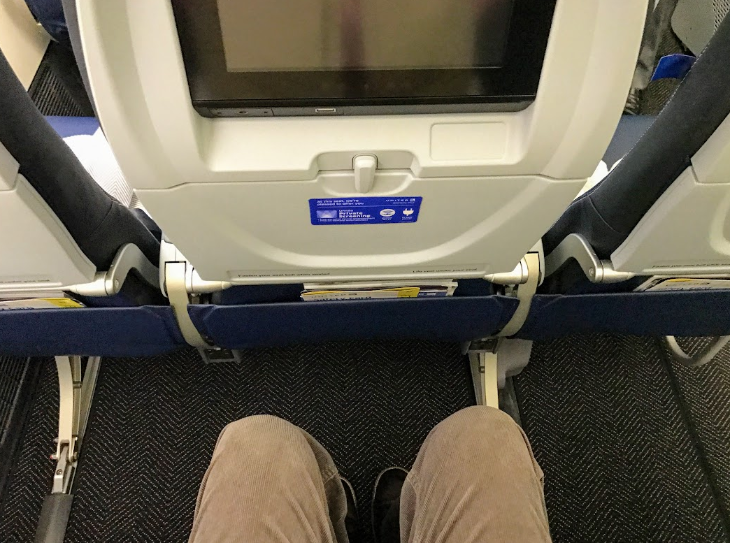 Several weeks ago, news broke that some seats on American Airlines’ new 737 MAX aircraft would have a 29-inch pitch – marking a new legroom low for major U.S. carriers. But now American has apparently had a change of heart. American sent out a memo stating that based on feedback from customers and employees, it has decided to scrap the 29-inch pitch, which would have affected three rows of seats on the new planes. The other seats in regular economy would have 30-inch pitch. That’s the good news. 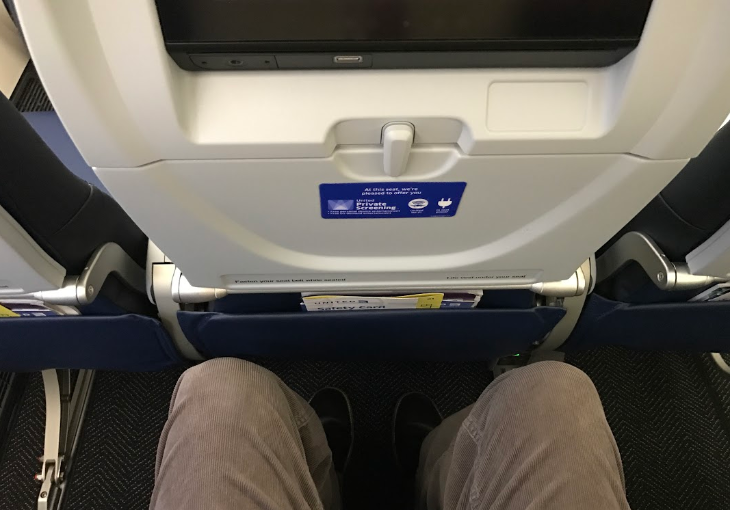 On the other hand, American will reportedly stand by its plan to provide a 30-inch pitch for regular economy seating on the new planes, giving just an extra inch to those three tight rows. 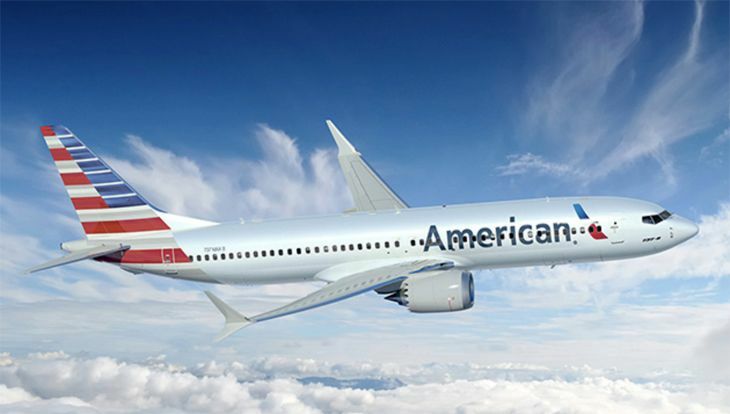 American currently provides 31-inch pitch on its 737-800s in economy class, and pitches of 30-31 inches on A319s, 31 on A320s and 31-32 on A321s. And giving back that extra inch will also mean a reconfiguration for AA’s 737 MAXs. They’ll still have 172 seats, but the Main Cabin Extra seating (American’s extra-legroom economy product) will be reduced from 36 to 30 (one row), while regular economy will increase from 120 to 126 seats. The new aircraft will still have 16 first class seats. American has ordered 100 of the next-generation 737 MAX aircraft from Boeing. Small as American’s giveback may be in the pitch department, at least it might prevent its legacy competitors from transitioning to a 29-inch pitch, which would effectively eliminate one of the key differences between them and the ultra-low-cost airlines. Why do you think American caved on this one? Please leave your comments below. 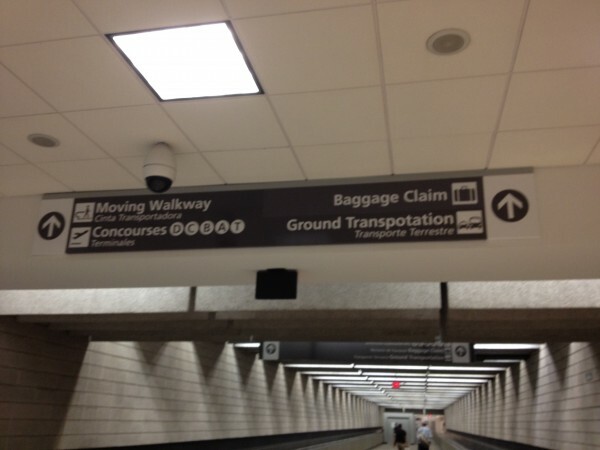 A new fare increase for business travelers? >Chris discovers that new Basic Economy fares don’t offer much of a discount at all- as a matter of fact, they are a thinly veiled price hike for some travelers. For business and personal reasons, I fly between San Francisco and Atlanta a lot. For an upcoming four-day trip in mid-May I’ve been monitoring fares for the past month or so. I waited to book this trip until after Easter because airlines usually lower fares for “shoulder season” travel at about this time. But this year, that does not seem to be happening. As a matter of fact, a new wrinkle emerged this week: Basic economy fares now apply on this route. Even if you don’t fly this route at all, stick with me here, because it could soon apply in just about any market. Here’s the lay of the land on SFO-ATL: Both Delta and United offer nonstops on the route. Delta offers several per day, and United offers two. Generally the lowest economy fares hover at around $350 roundtrip in economy. I usually favor United when flying this route because it has convenient flight times, and with my elite status, I sit in Economy Plus and occasionally get upgraded to first class for the 4-5 hour flight. Over the last year Frontier (SFO) and Spirit (Oakland) jumped into the nonstop market with one (or fewer) flights per day. Both have offered some jaw-dropping deals… I’ve seen them as low (or lower) than $200 roundtrip. But of course you have to factor in the ultra-tight seating, fees and possibility of cancellation– reasons I shy away from these flights. When fares did not come down by Tuesday this week, I was ready to throw in the towel and pay $420 on United. But something strange happened on Wednesday morning when I went to make my purchase: That $420 fare had increased to $470 and turned into a “basic economy” fare. If I wanted a regular economy fare, I’d have to pay $520, a $50 premium. On Delta, the basic economy fare was a steep $506, and the upgrade to main cabin was $26, so $532. Nothing cheap about that! But wait… hold everything. I thought that United and Delta were adding a new low-fare option with basic economy. Not so in this case…both just slapped a basic economy label on the existing lowest fare and raised the standard economy fare. 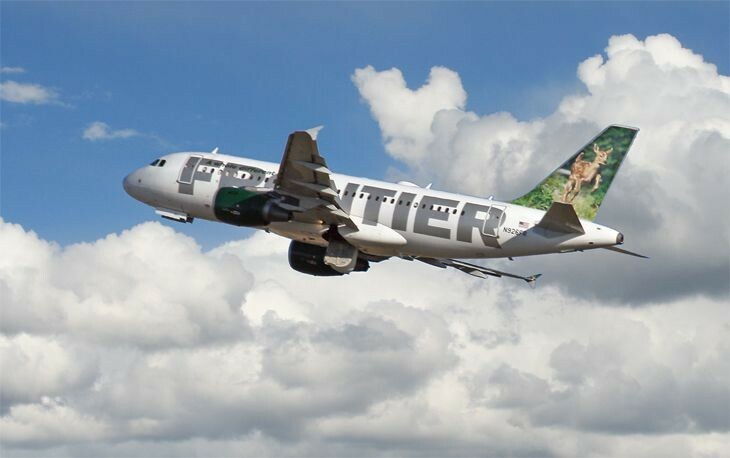 Neither of them actually lowered their fares to compete with Frontier’s lowest fare of $360. When United pushed out its new fare category, it sounded like fares would come down in these markets— United even says so on its website: We’re introducing a new fare option, called Basic Economy, which is available on select routes and in addition to standard United Economy fares. Created for our customers who may be more price-sensitive, these lower-priced fares provide most of the same inflight services and amenities that are available with standard Economy. Meh! In this case, it appears that the introduction of Basic Economy fares is a thinly veiled price hike for business travelers who need things like seat assignments, elite qualifying miles, refunds, overhead bin space and the opportunity to upgrade. Have you encountered a basic economy fare yet? How’d that go for you? 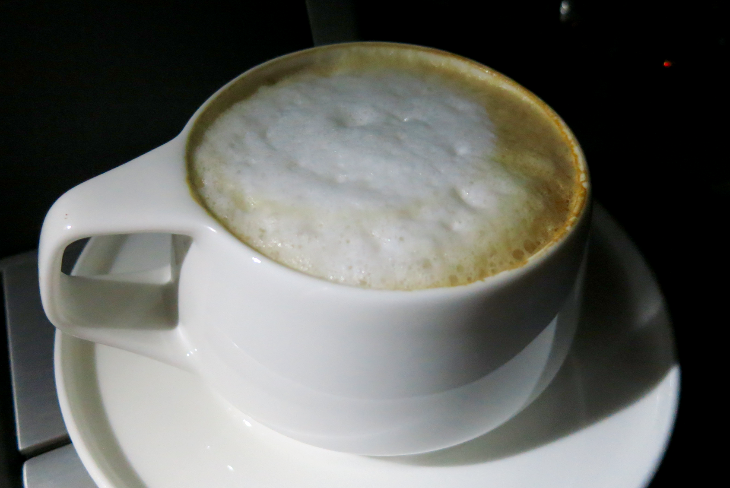 United has done a great job promoting the posh Polaris business class product on its brand new Boeing 777-300ER jets. But what’s going on behind the curtain in economy class is probably more important to a larger group of flyers. 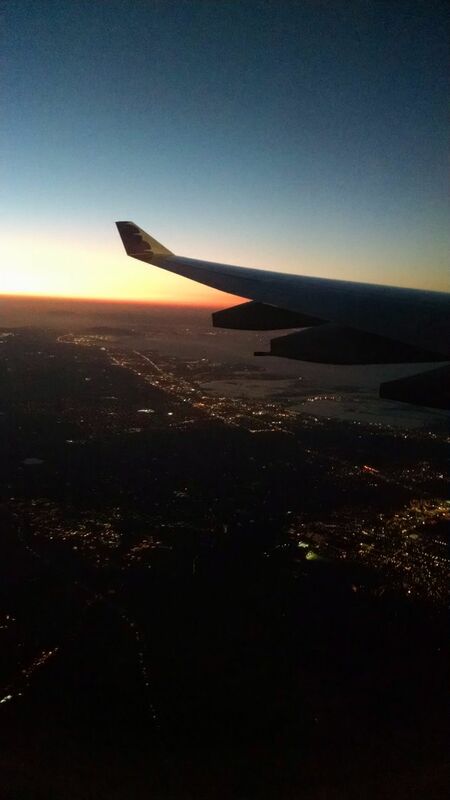 This week we heard from a TravelSkills reader who flew Economy Plus between Newark and San Francisco on the new bird and sent us some thoughts on the experience. First a little background: United currently has two Boeing 777-300ERs and says it will put a total of 14 of its new 777-300ERs into service during 2017. The aircraft will be configured with 60 Polaris business class seats in a 1-2-1 layout; 102 Economy Plus seats in a 3-4-3 layout; and 204 regular economy seats also in a 3-4-3 layout. Yes, that is 10-across, which seems to be the emerging economy class standard on new B777s at many carriers, including Air France, American, Cathay Pacific, Emirates, Qatar, and SWISS, among others. United is rumored to be considering a “true” premium economy seat since both Delta and American have announced their intentions to do so. But there is nothing definitive from United so far. For now, Economy Plus on United is an economy seat with three extra inches of legroom. 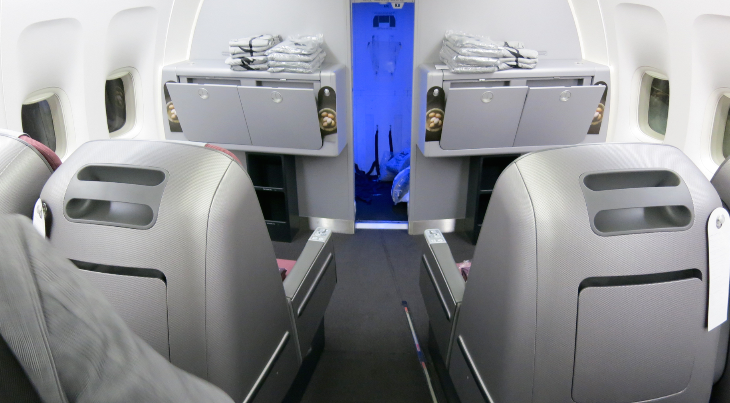 If you have not read it already, here’s our first look at all three classes on United’s B777-300ER. Between now and May 4, United will fly a B777-300ER between San Francisco and Newark six days per week. Late last month it deployed a second B777-300ER on SFO-Newark which means there are now two flying the route (but only through March 8). On March 25, the aircraft will replace a 747-400 on the very competitive San Francisco-Hong Kong route (also serve by Cathay Pacific and Singapore Airlines). I’m a regular reader of TravelSkills based in SF (thanks Chris for the interesting and helpful columns!) and after your post, I decided to try to new 777-300ER for a flight from EWR to SFO [5-6 hours]. Business class looked great, but I flew in Economy Plus, so here’s my review from the cheap seats. Pros: The lighting is great. The seats are new and outfitted well (including power at every seat). Wifi actually worked pretty well on this flight. 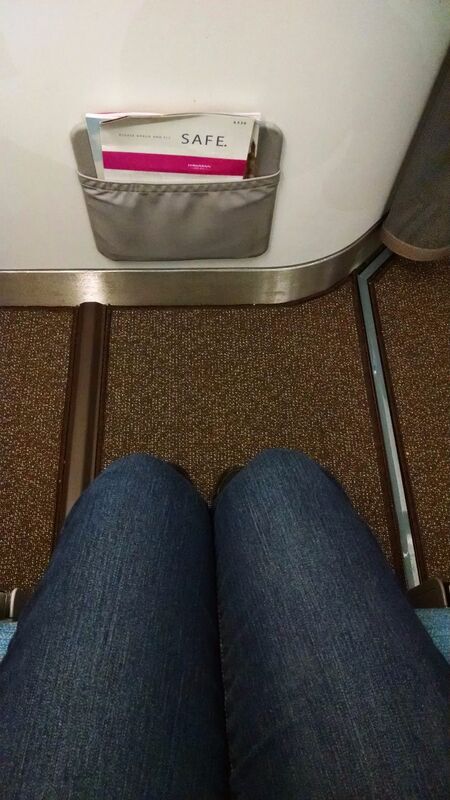 Cons: The economy seats are just too narrow, making the flying experience miserable. I’m not a large person, and I’ve generally enjoyed UA E+, even on long trips. 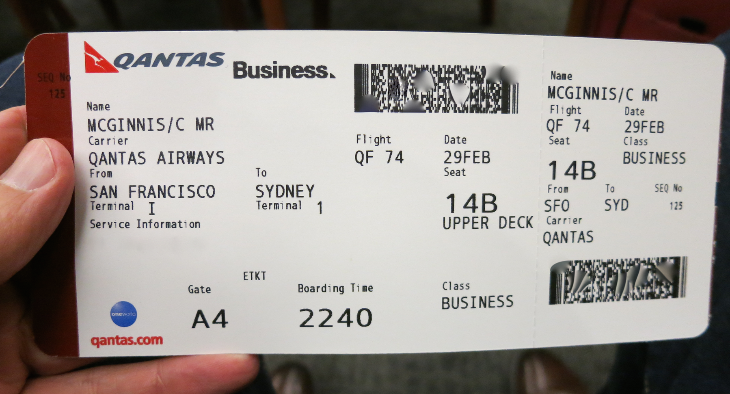 (For example, I flew on a UA 787 Dreamliner SFO-SYD last month in E+ and thought it was actually quite nice.) But my experience in E+ on the 777-300ER was awful. I found it very difficult to work, and my neighbors and I got to know each other much better than I think any of us would have wanted. You are literally pushed up against the next passenger. Admittedly, my flight was full, and I expect that it would have been a very different experience with an open seat next to me. But with high load factors these days, you can’t count on an open seat next to you. Bottom Line: I understand that United is going to add these planes to its SFO-Hong Kong route and other long haul flights. I flew SFO-HKG on a UA 747 last year, and I thought it was fine (although a bit aged and admittedly not nearly as nice as United’s 787). But I absolutely would not fly a UA 777-300ER in E+ on a long route [14.5 hours] like that. In fact, based on my experience yesterday, I will actively avoid the UA 777-300ER in E+ on any route and would pay a premium to take a different plane, make a stop, or take another carrier to avoid these absurdly cramped seats. Thanks for your Reader Report! If you would like to contribute a Reader Report to TravelSkills, check out our Reader Report guidelines. Have you flown in a 10-abreast configuration on a B777 yet? Would you fly in United’s? Please leave your comments below. This week United put its newest bird, the Boeing 777-300ER, into service. Starting Thursday, February 16, the new 777 will fly domestically between SFO and Newark. With a United fare sale that started today, you can try out the new plane for as little as $252 round trip in March (that’s cheap! ), but you’ll pay about $3,000+ in business class. 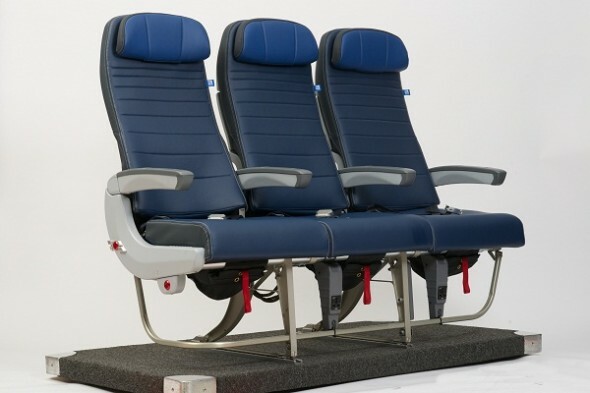 Right now, there’s only one United jet flying with the Polaris seats— the one you’ll see pictured below. While United has begun marketing all its business class tickets as Polaris, you’ll only find the seat on the B777-300ER for the time being. United will get 14 of these birds from Boeing this year. The “hard product,” meaning the reconfigured cabin and new Polaris seats will roll out slowly. Between now and May 4, United will fly the B777-300ER between San Francisco and Newark six days per week. 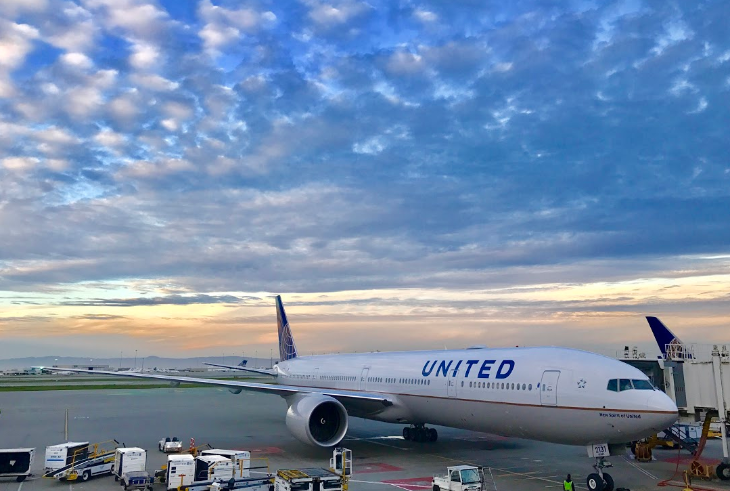 On February 22, United gets another new B777-300ER which it will also deploy on SFO-Newark through March 8– which means there will be TWO Polaris planes flying the route for a short period of time. 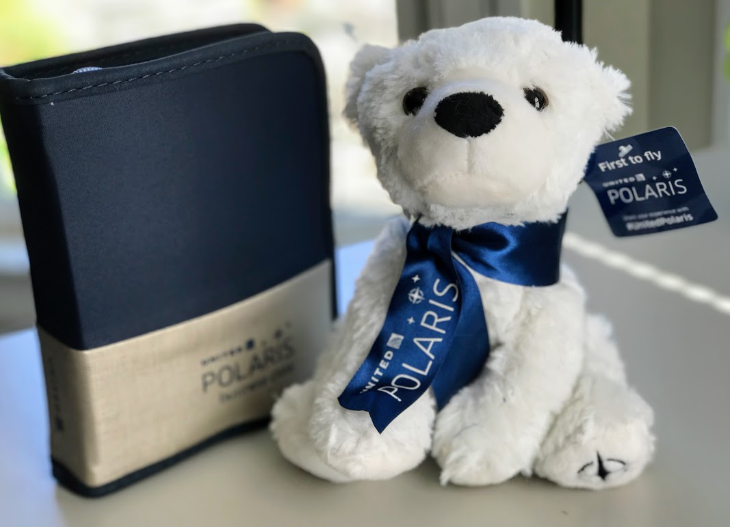 On March 25, the new aircraft will make its international scheduled service debut, replacing a 747-400 on the very competitive San Francisco-Hong Kong route, where United’s Polaris seat and service compete with two of the best in the business: Singapore Airlines and Cathay Pacific. TravelSkills was at SFO to welcome the shiny jet and its payload of travel media invited along to try out the new Polaris business class seats. This flight operated as a charter and was not available for purchase. >Length of seat and comfort vary in the new Polaris cabin. Window seats offer the most privacy and best views, although with some neck craning, you can get a view out the window from some window-side aisle seats (even numbers). Due to the staggered configuration, an odd-numbered window seat should be your first choice. 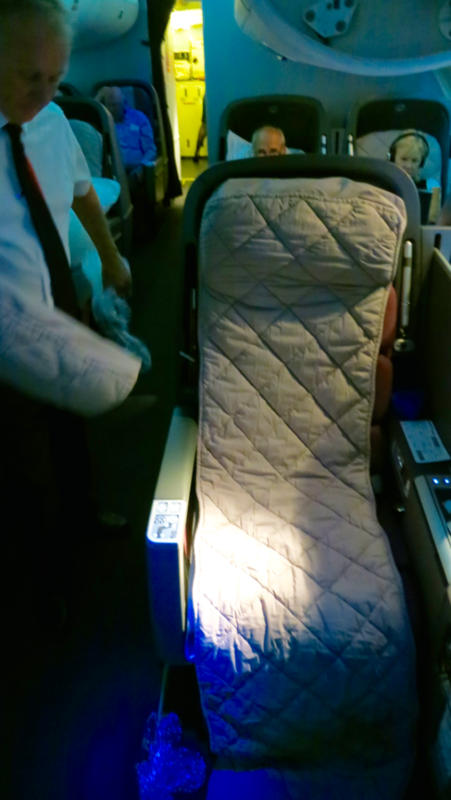 See B777-300ER layout on SeatGuru here. >Economy class is configured 10-across while United’s other 777s offer 9-across seating. I was prepared for the worst when I ventured beyond the curtain, but when I tried the premium economy seat, I was impressed with the seat legroom (34 inches pitch). Granted, I was seated alone in a center seat, but it just did not seem that bad. Time will tell what it’s like to be jammed into a center seat with two large passengers on either side. But the seat, the access to power, the seatback screen and knee room all seemed okay to me. >There’s a clubby Economy Plus section (rows 19-22) just behind business class, the first row (19) of which are probably the very best economy seats on the plane due to the legroom. Plus this cabin is protected from the larger economy class cabin by bank of lavatories. Economy Plus row 24 offers a lot of legroom, too, but proximity to the lavatories could be a problem, and there’s a limited view out the window and no storage space for take off and landing. >You can tell where Economy Plus ends and regular economy begins by looking at the color scheme of the seats, as well as the placards in the overhead bins. Regular economy was pretty tight (31 inches pitch), but I had a couple inches in front of my knees when the seat in front was not reclined. That would disappear as soon as the person in front reclined. 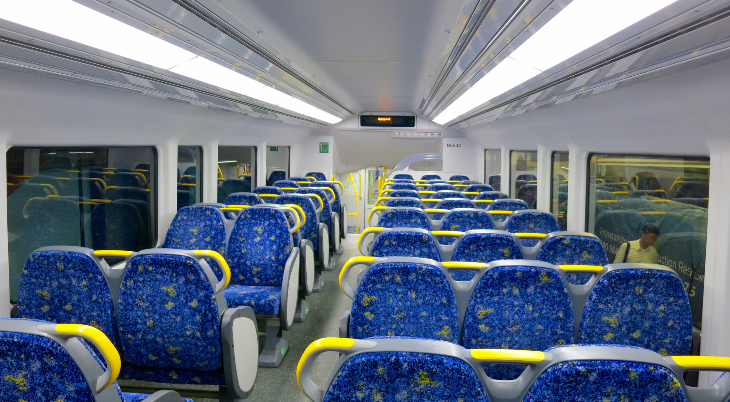 (See below) Out of 10 seats across four are middle seats, six are windows or aisles. There are two crew rest areas on this plane. 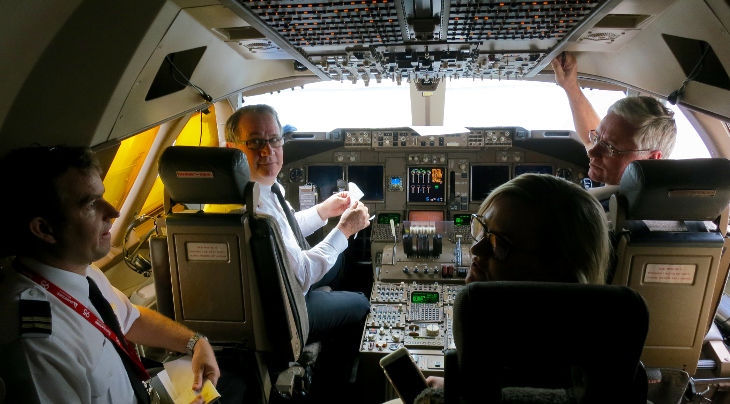 One is upfront for pilots, the other is accessed by a secret door by the rear galley and contains six soundproof sleeping berths for flight attendants. This get-away-from-it-all space is cherished by crew, especially on those 12-15 our transpac long hauls! United said it expects to put all 14 of its new 777-300ERs into service during 2017. The aircraft will be configured with 60 Polaris business class seats in a 1-2-1 layout; 102 Economy Plus seats; and 204 regular economy seats. So what do you think about this big new bird? Please leave your comments below! Alaska Airlines travelers will soon have a new seating option. The airline said that the Premium Class (premium economy) section it announced late last year will finally be available on select flights starting January 6 – and Mileage Plan elites will be eligible for free upgrades. Effective this week, paying customers can book seats in Premium Class on flights where it is available for a surcharge of $15 to $79 over the base fare, depending on distance flown. Mileage Plan members with MVP, Gold and Gold 75 status can request a free upgrade when they book, or up to 24 hours before departure, depending on their elite level and the fare they purchase. The new section, in the front of the main cabin, will give customers an extra four inches of legroom, with a 35-inch pitch vs. 31 or 32 in regular economy seating. As it refits its aircraft with Premium Class, Alaska is also overhauling its first class cabins, increasing legroom from 36 to 41 or 42 inches. The airline said it expects to finish installing Premium Class by early January on half of the planes that are getting it – including 737-800s and E175s operated by SkyWest. Next year, it will add the seating on its 737-900s and -900ERs and eventually on Horizon Air planes. Sometime next year, Alaska said, it will decide whether to extend the refit to its 737-700s; it plans to eliminate its 737-400s in 2017. The new seating category replaces Alaska’s Preferred Plus option, which only included exit row and bulkhead seats. Alaska said that persons seated in the new category will get priority boarding and free in-flight snack boxes and alcoholic drinks, and will have power outlets at each seat. 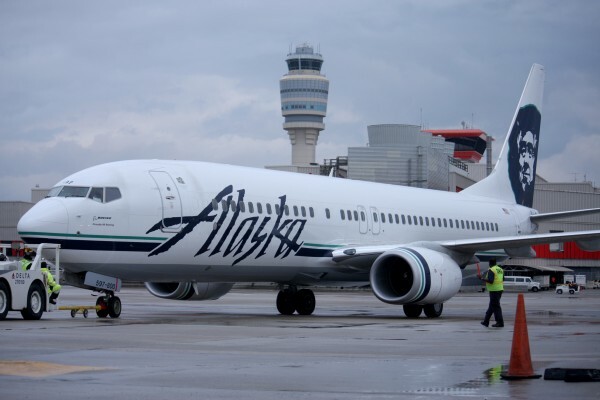 Although Alaska said it will reduce the total number of seats on some aircraft, its chart indicates that its 737-800s will go from the current 163 total seats to 159 — only four fewer seats. As for its 737-900s and -900ERs, the total seat count will only drop from 181 to 178 — three fewer seats. It just seems like all that extra legroom going into the two front cabins might require a little more than that — unless economy seats will be pushed closer together. And the E175s will keep the same number of total seats despite the addition of 12 Premium Economy extra-legroom seats. That space has to come from somewhere. 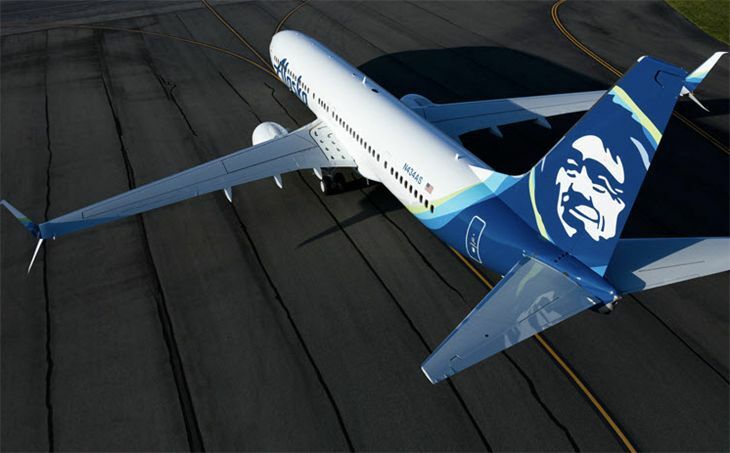 Meanwhile, Alaska also said that starting December 5, Mileage Plan elite-level members will be eligible for free first class upgrades when they book award tickets in coach. The upgrades will be instant for full-fare coach awards (fare class Z) when space is available. In addition, a member’s fare class will now be used along with elite status level to determine first class upgrade priorities. Qantas will start taking delivery of new 787-9 Dreamliners late next year, and it has just unveiled details of the passenger cabins for the new planes – which will gradually take over the long-haul routes now served by 747s. It’s also got a new, more streamlined look. The update to its iconic Kangaroo logo is only the fifth time the red-and-white image on the tail of Qantas aircraft has been updated since it was first introduced in 1944. The last update was in 2007 to coincide with the introduction of the Airbus A380 to the national carrier’s fleet. A streamlined Kangaroo on the tail of the aircraft, with shading to give it a sense of depth and movement. The Kangaroo itself has been simplified for a cleaner, more modern look. A silver band has been added to the rear of the aircraft, flowing from the tail through to the rear of the fuselage for a more premium feel and more contrast between the red tail and the rest of the aircraft. A new, slimmer font for the world ‘Qantas’ on the side of the aircraft and the color made slightly lighter. The word Qantas is added to the belly for increased visibility when aircraft are flying overhead. Adding the Kangaroo to the inside curved edge of the wingtips so that they are in-flight and meaning they will also appear in pictures people take out the aircraft windows. The new 236-passenger Qantas Dreamliners (not due on runways til late next year) will offer 42 business class suites in a 1-2-1 layout; 28 seats in the premium economy section, configured 2-3-2; and 166 regular economy seats, with a 3-3-3 layout. The business and the economy cabin will each have a self-service bar where passengers can pick up drinks and snacks. 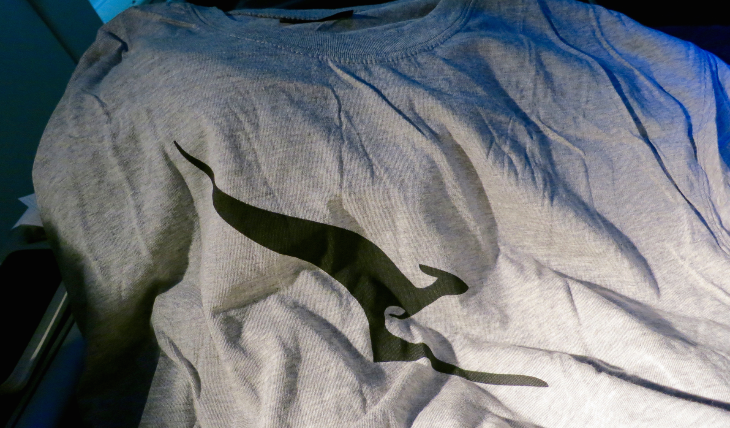 The new planes will also have a redesigned, more streamlined kangaroo image on their tails. Business seats will recline fully flat to a bed that’s 80 inches long – and passengers will have “the ability to stay reclined during takeoff and landing,” Qantas said. 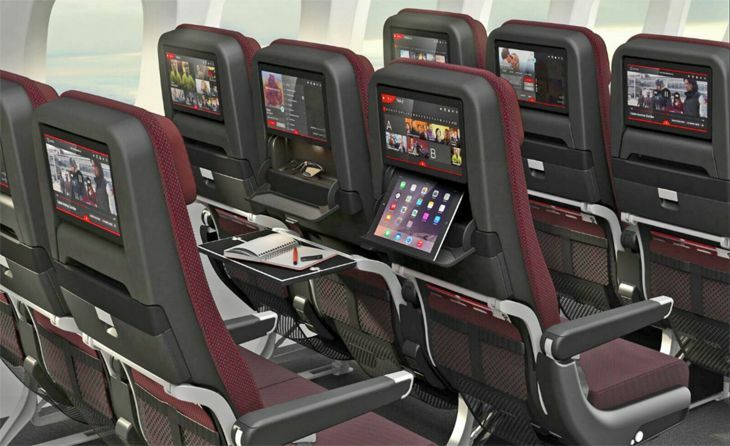 The two middle seats will have an adjustable privacy screen in between them, and all business seats will be 23 to 24 inches wide, offering power and USB ports along with a personal entertainment device with a 16-inch touchscreen. 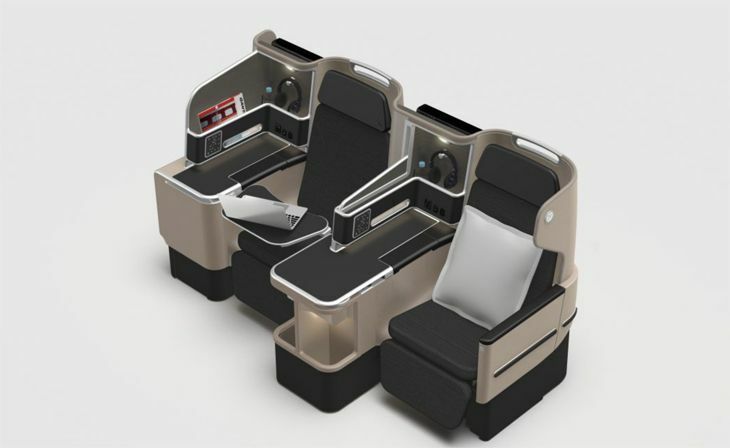 Qantas described the business suites as the “next generation” of the business cabin recently installed on its A330 fleet. 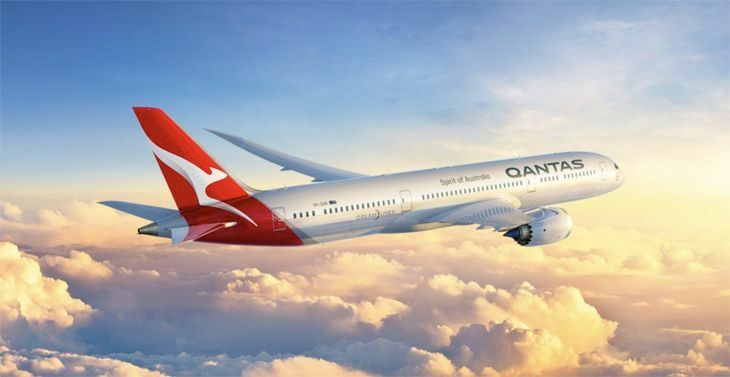 “The direct flights on these routes will have a lot of premium traffic, so we think it will be very heavily patronized by business class and premium economy customers,” Qantas CEO Alan Joyce told Australian Business Traveler. “We’re also redesigning the in-flight experience for the Dreamliner, from rethinking our menus to making better use of the self-service bars during different phases of flight.” He also told the publication the airline hasn’t yet decided whether the new Dreamliners will offer in-flight Wi-Fi. The economy cabin will have a new seat design that comes with a “personal device holder” and an individual USB port, increased storage areas, a high-def 12-inch touchscreen, and “a seat-back mood light designed to minimize disturbance for other passengers.” The economy seats will also provide an additional inch of pitch compared with Qantas’ A380s, for a total pitch of 32 inches; six-inch seat recline; and an improved “footnet” that cradles the legs during sleep. Qantas said details on the aircraft’s premium economy cabin won’t be released until early next year, but it promised that cabin will offer “a class leading experience and a revolutionary new seat.” The airline said it will soon announce the initial routes where the 787-9 will be deployed- we would not be surprised to see the lucrative SFO-SYD run on the short list for those flights since the 747s on the route will be phased out. Kicking support animals off planes | Shocked passenger refuses to pay $3 for water | Marriott-Starwood: Higher prices, better rewards | The 10,000 points question! | Eye-catching maps explain state of the world | Test your planespotting skills! 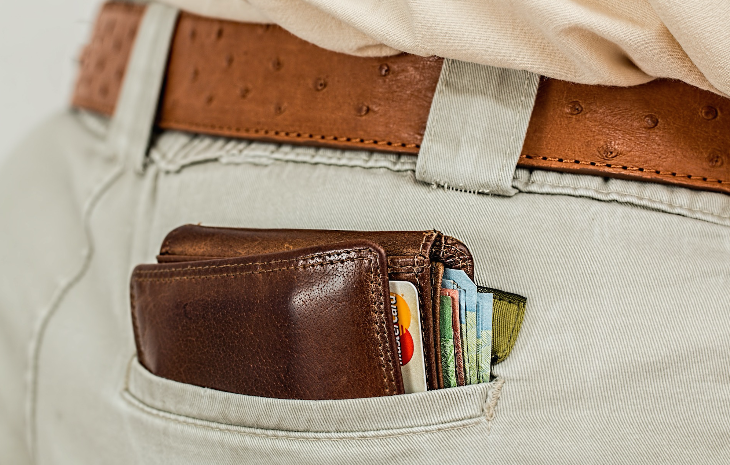 In the market for a new credit card? Scroll up to our “Credit Card Deals” tab at the top to shop around! It helps us help you! Please join the 150,000+ people who read TravelSkills every month! Sign up here for one email-per-day updates! How can an airline increase passenger capacity when it can’t add more flights? One way is to add more seats in each aircraft, and we’re seeing that emerging as a trend in some carriers’ Boeing 777 fleets. 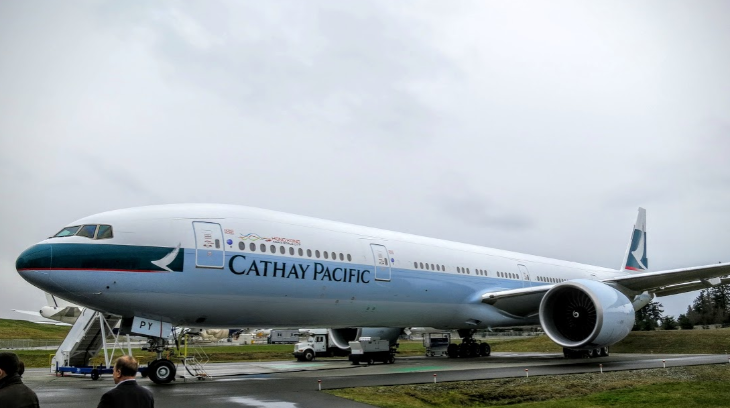 The latest airline to announce such a change is Cathay Pacific, which flies 777-300ERs on its routes to San Francisco, Los Angeles, Chicago, Boston and New York JFK. Cathay chief executive Ivan Chu Kwok-leung told the South China Morning Post that the airline is faced with a shortage of takeoff and landing slots at its Hong Kong base, and the only way to boost revenue is by adding more seats per slot. So Cathay will start reconfiguring its 777 economy cabins from nine-across to 10-across seating, although the job might not be finished until 2018. 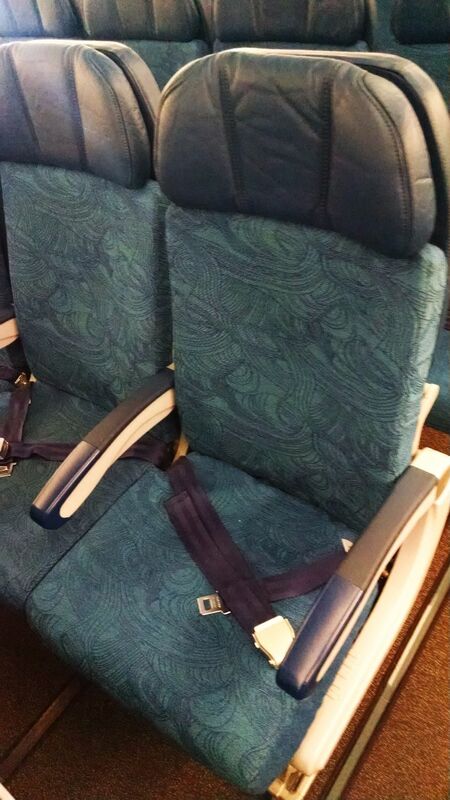 He said Cathay wants to preserve its 32-inch seat pitch, so it will shrink seat width from 18.5 inches to 17. He noted that 3-4-3 seating on Boeing 777s is becoming the “standard” among international carriers. And he might have a point about that. Boeing has noted that about half of the 777s it delivered in 2015 were had 10-across coach seating; in 2008, only 30 percent had that configuration. 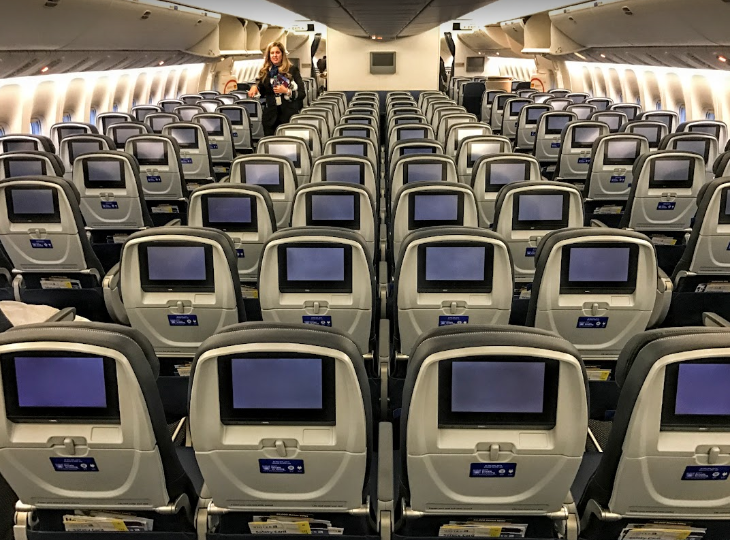 Among U.S. carriers, American has 10-across seating on some 777s, and United earlier this year confirmed it is installing the tighter configuration on 19 777s that it uses mainly for domestic routes. Delta currently has 9-abreast on its B777s. 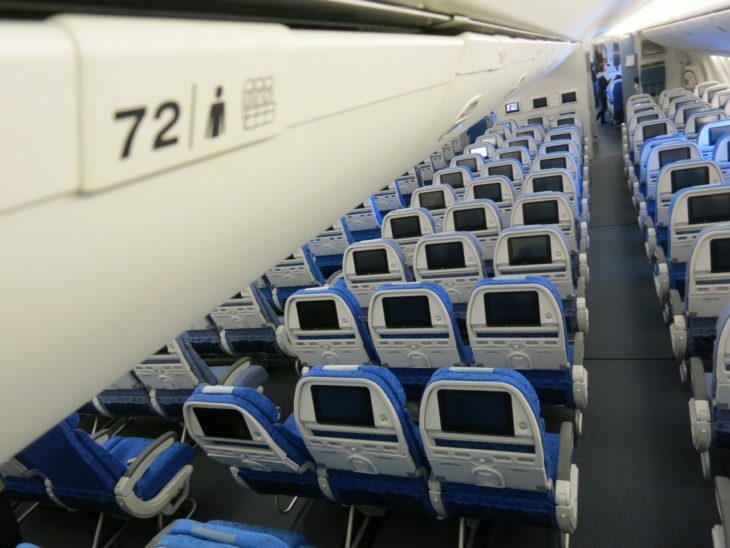 Other international airlines with 10-across seating on at least some of their 777s include Emirates, Etihad, China Airlines, China Eastern, ANA, Air New Zealand, Swiss, KLM and Air France. 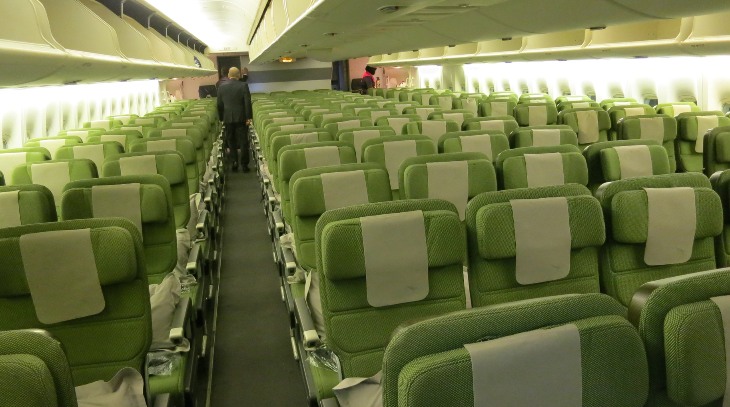 A few months ago, Taiwan’s EVA Air said it would switch from nine-across to 10-across seating on its new 777s. Earlier this year, I decided to take a trip in April to visit a friend in Edinburgh, Scotland. I was working with a minimal budget and was excited to discover that one of the cheapest economy fares ($1,199 RT) from San Francisco to Edinburgh was offered by Aer Lingus. I had never flown with Aer Lingus before and jumped on the opportunity since I’d heard so many positive things about their service. 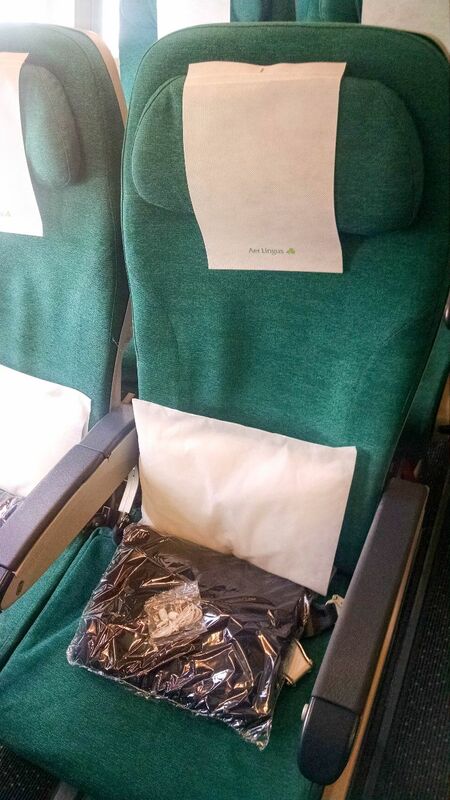 When I told Chris about my upcoming trip, he mentioned that several readers enjoyed the Trip Report he wrote on Aer Lingus’ new business class, but we didn’t have a trip report on the economy experience. So, I decided to document my first trip on that big green plane! 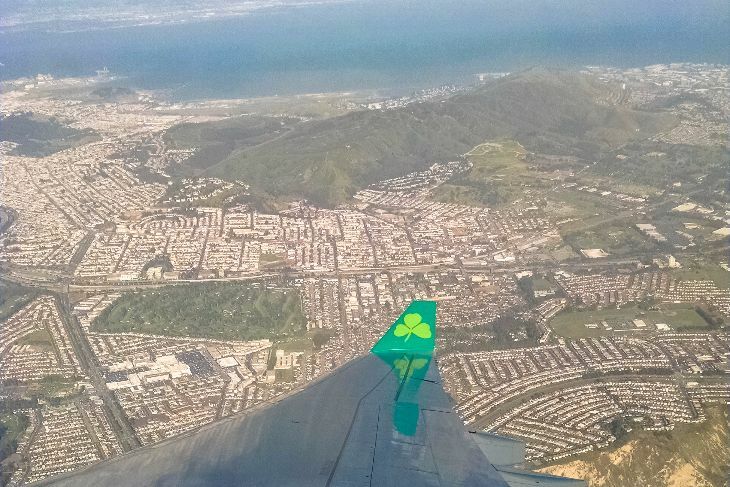 As I boarded the Aer Lingus A330-200 at SFO, I was politely greeted by all of the crew members and directed to my seat above the wing. When I got there, a pillow, warm fleece blanket, and complimentary earbuds were waiting to help me enjoy the in-flight entertainment. There was also a small envelope for donations to UNICEF, Aer Lingus’ charity partner for nearly 20 years, which came in handy for getting rid of spare coins on my flight back. 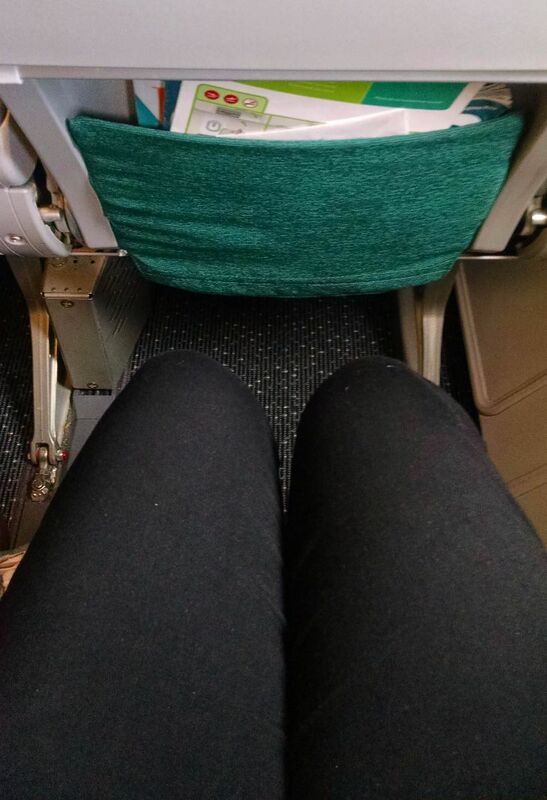 Once settled into my window seat I found the 32” pitch to be more than enough for my 5’4” self and I was comfortable even with a larger person seated next to me. Before takeoff, I flipped through Aer Lingus’ magazine Cara (“Friend” in Irish Gaelic). I usually get through half of the in-flight magazine before putting it away to watch takeoff, but on my flight to Dublin I only had the chance to flip through some photos as we happily departed almost 10 minutes early. I’m impressed that Aer Lingus operated with such timeliness during my entire journey with them. On my flight home, we landed at SFO 20 minutes ahead of schedule. 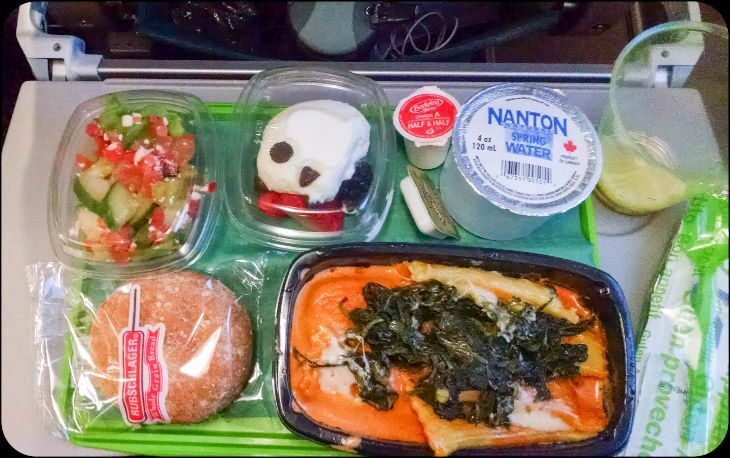 Dinner was served about two hours into the flight with a choice of beef stew or creamy spinach pasta. I don’t eat beef so I went with the pasta, but my seatmate got the stew and enjoyed it. I don’t usually expect much from pasta on airplanes, but the sauce in the dish was delicious and the pasta was cooked perfectly. 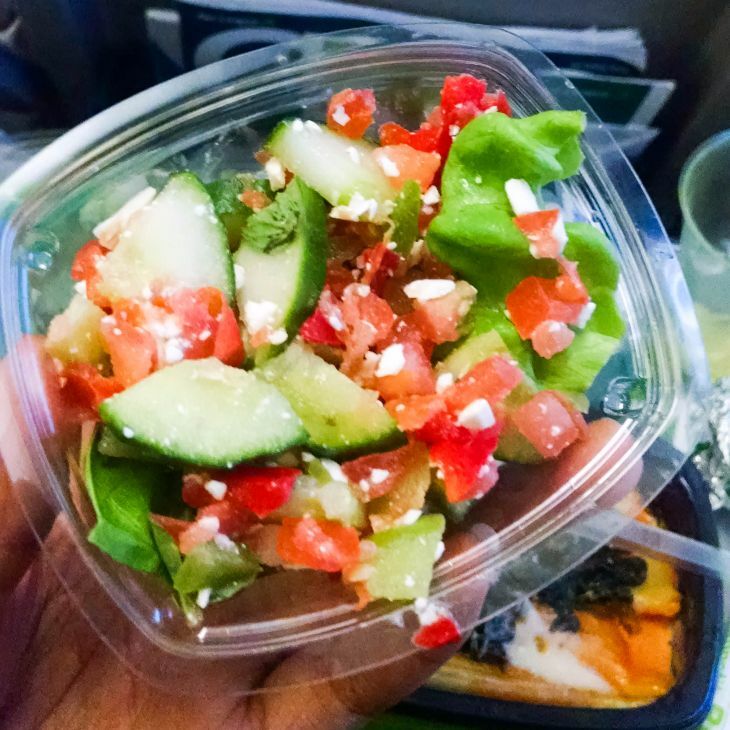 My meal also came with a light salad of lettuce, cucumber, tomato, and a bit of feta which I enjoyed after my pasta. It was fresh, tasty, and delivered an extra bit of hydration that I really needed. The pasta had enough carbs for me so I didn’t eat the dinner roll, but I did save room for the dessert of berries and light whipped cream. 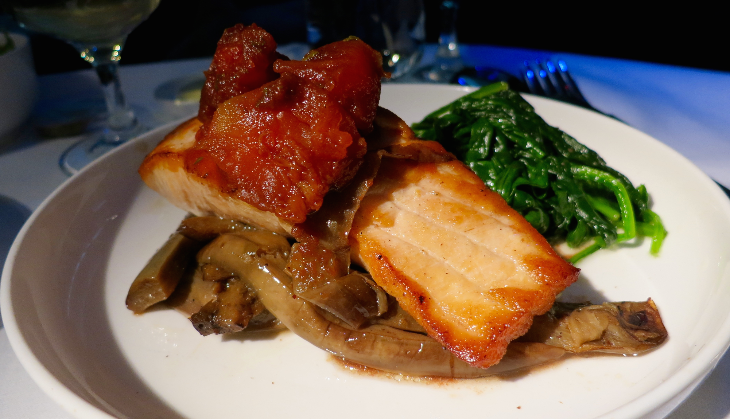 Related: Aer Lingus Business Class meals- the best ever? I tried to doze off after dinner, but I spent most of the flight exploring the entertainment system. I was thoroughly distracted with the selection of over 50 films, a variety of TV shows, and an extensive list of music albums, podcasts, and radio stations to indulge in. Wi-fi was also available on the flight at the price of $9.95 for an hour or $18.95 for a full flight pass but the entertainment system was enough to keep me from boredom. When my eyes got too tired to watch any more movies, I browsed the music selection and made a playlist perfect for sleeping. I don’t think I actually slept much, but meditating to the RnB and soft rock sounds for a few hours was nice relaxation. 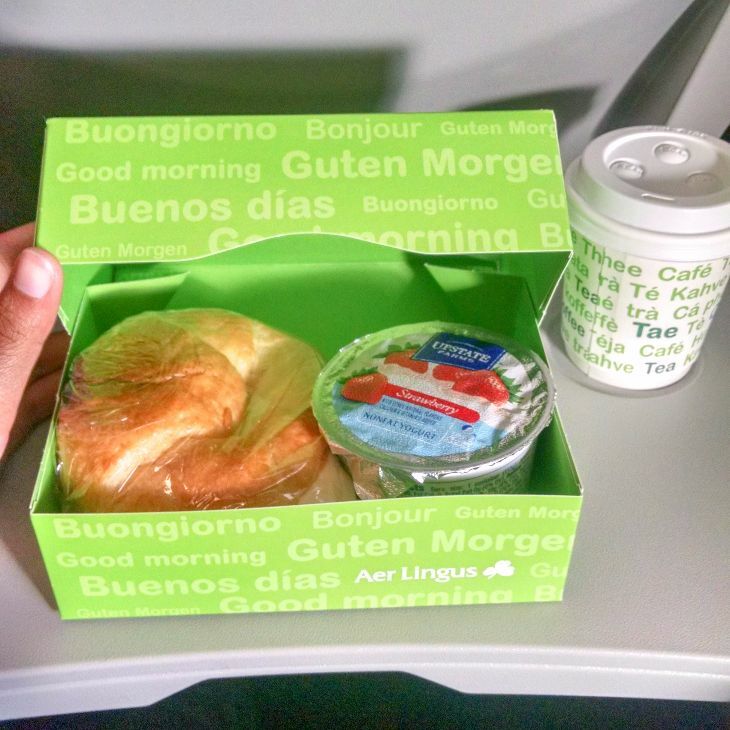 The cabin crew served morning snack boxes and warm beverages about an hour before we landed in Dublin. Inside was a ham and cheese croissant and a cup of strawberry yogurt. I wasn’t in the mood for yogurt, but I enjoyed the croissant. It was simple, yet comforting and I really appreciated the warm food and tea in the morning. I was not at all excited about taking a propeller plane to connect from Dublin to Edinburgh. I’ve had an aversion to propeller planes since I rode on one as a kid flying over Alabama. It was like a loud, tumultuous rollercoaster that my parents couldn’t wait to get off of. My journey with Aer Lingus was nothing like that. 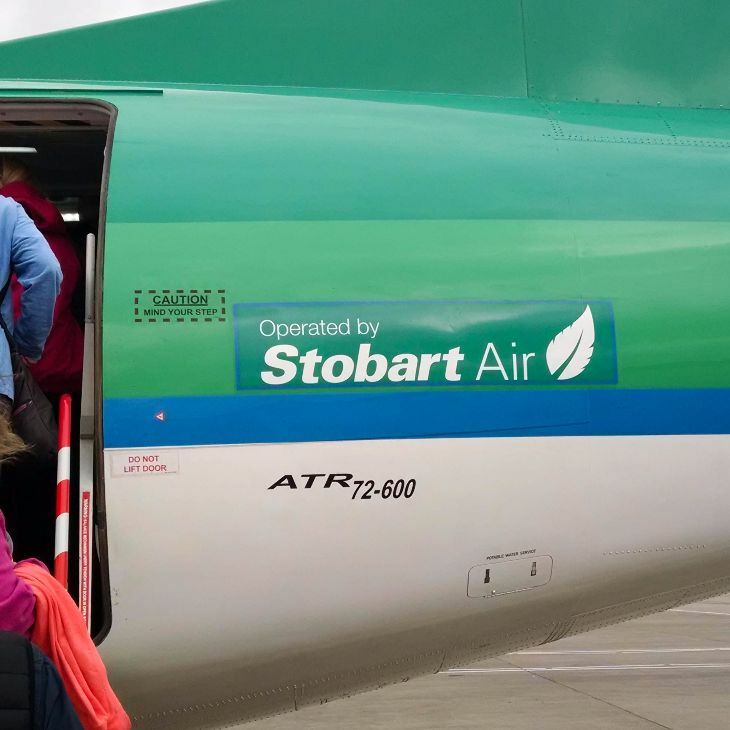 The flight was operated by Irish regional airline Stobart Air (formerly Aer Arann) and had two Aer Lingus crew members on board. These crew members were exceptionally friendly and knowledgeable, reassuring some other nervous passengers and myself that we’d have a safe ride on the ATR 72-600. I was particularly impressed with how one crew member successfully comforted a terrified, screaming child during the flight by assuring her that the noise and extra turbulence was just part of what makes propeller plane flight special. The entire experience was so stress-free that on the way back I felt no anxiety hopping on the propeller plane, even with someone obnoxiously joking that our plane was probably going down. On my return flight from Dublin to SFO, I got a special treat for my in-flight meal. 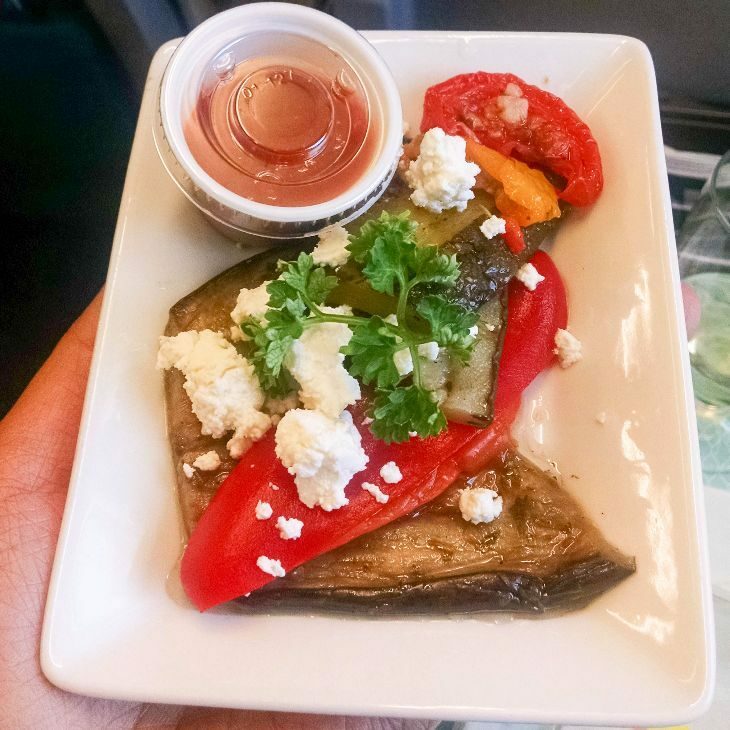 Before my trip, Chris told me about some upgraded meals that Aer Lingus offers to economy passengers and asked me to try out the service (which he generously paid for 🙂 ). 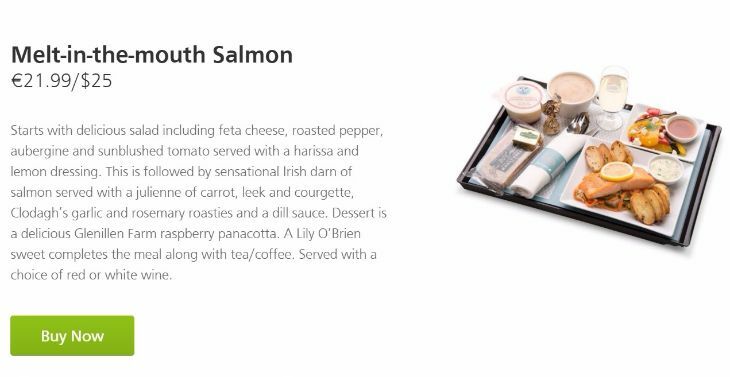 These meals are part of Aer Lingus’ Bia Pre-Order service and have been created by their executive chef and Irish chef Clodagh McKenna. Passengers who would like to enjoy these meals must pre-order them online at least 24 hours before the flight. 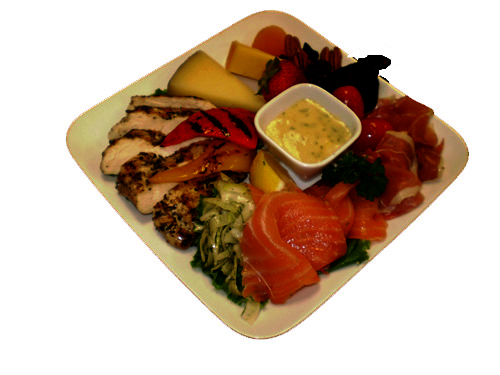 Meal options include Roast Chicken with a Twist ($25), Melt-in-the-mouth Salmon ($25), and Succulent Steak ($28). The chicken and steak options are similar to entrees served in business class, but I was really curious about the salmon and decided to try that. 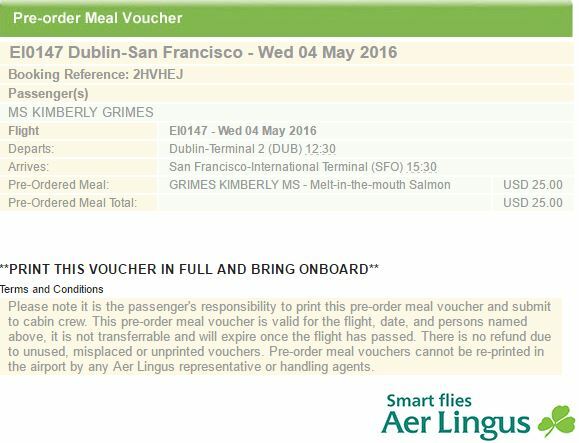 Ordering my meal was as simple as choosing my seat through the “Manage Booking” section of Aer Lingus’ website. My credit card was charged immediately after ordering and a salmon meal voucher was promptly e-mailed to me. The e-mail provided instructions to print the voucher in full and bring it on board with me to submit to the cabin crew. It didn’t specify when I should submit the voucher, so I asked a crew member at the door as I boarded and she took it right away. I got settled in my seat and was really absorbed in watching a television show on my laptop when a crew member came by with some food on trays and asked if I ordered a special meal. I was really caught off-guard since the meal service hadn’t been announced yet, but he handed me a nice tray with my salmon meal on it and offered me some wine. There was nobody sitting next to me on this flight, but I wonder how people would have reacted to my special meal service if the plane was more crowded. 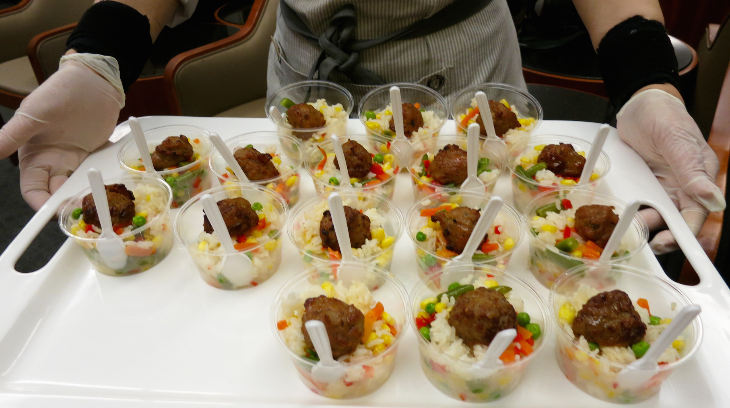 I was prepared for a few envious glares and questions about why I got such a fancy meal when others did not. As the distinct scent of salmon floated around my section, I looked around to see if anyone was really noticing. The cabin was nearly empty and the few passengers near me were too caught up in their own experience to show much interest in what I was eating so I was able to enjoy my meal without judgement. 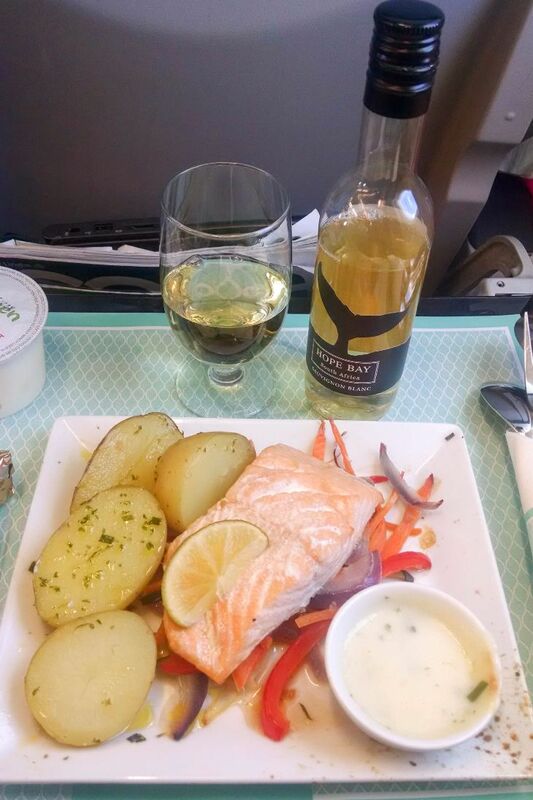 I love salmon, but I wasn’t sure what to expect from salmon on an airplane. As I took my first bite, any negative preconceived notions I had about “airplane salmon” went away. It was delicious and the texture was perfect – not too dry or rubbery. It wasn’t extravagant with flavors, but it was well done and exceeded my expectations. The potatoes that accompanied the salmon were less impressive. They were very bland, but also too oily for my taste. I ate all of them, but they were definitely my least favorite part of the entire meal. Surprisingly, the real highlight of the meal for me was the salad of aubergine, roasted pepper, and sunblushed tomato with a harissa and lemon dressing. The dressing had the perfect kick and reminded me of homemade cocktail sauce. 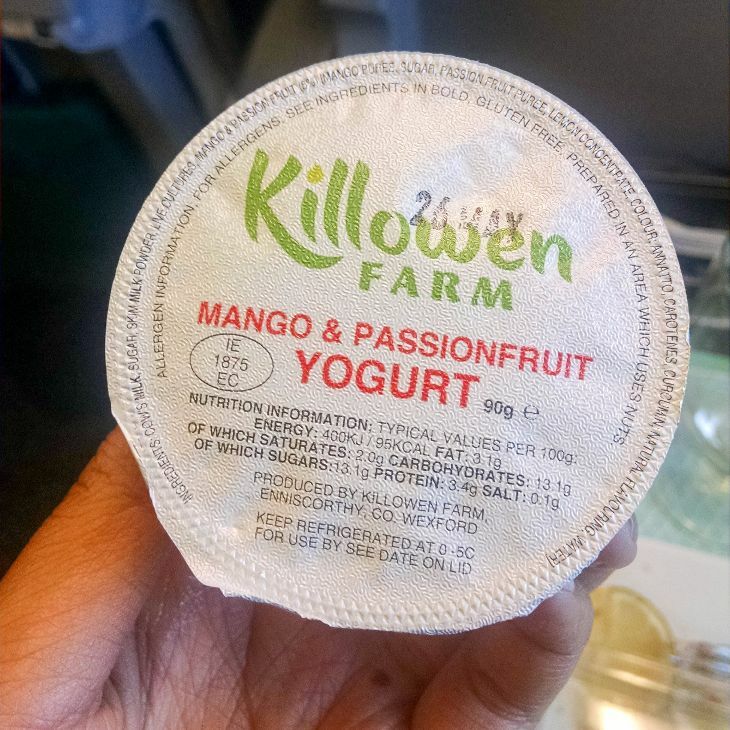 For dessert, I had a sweet mango and passionfruit yogurt (instead of the listed raspberry pannacotta) with real chunks of fruit in it. Delicious! Plus, a lovely chocolate truffle by Irish chocolatier Lily O’Brien. I couldn’t help but eat them both! I was so full from my meal that I could barely even look at the farewell chocolate bar given to me by the crew right before landing at SFO. 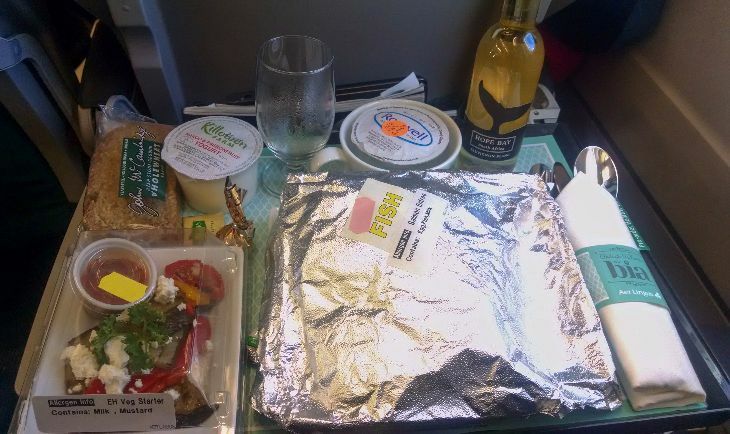 My Bia pre-ordered meal was a great way to have a bit of extra fun on my flight home and add a little luxury to my first trip with Aer Lingus. 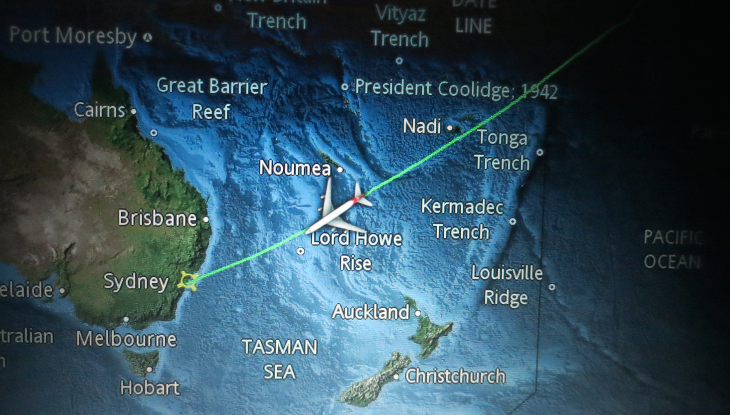 Last month I took a dive to the land down under on a big QANTAS 747-400 in business class on its recently restored nonstops between San Francisco International and Sydney. 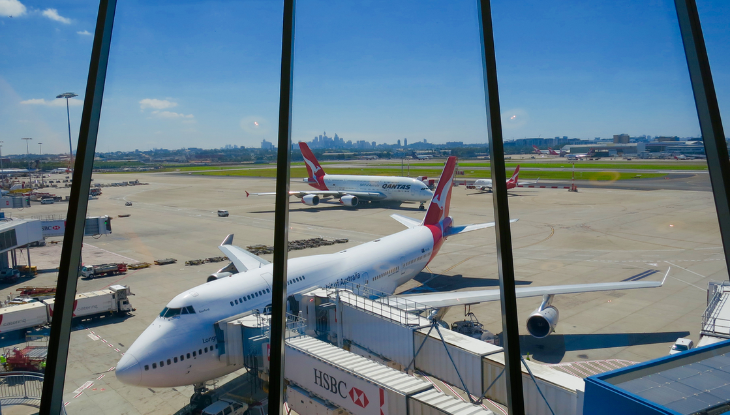 QANTAS covered the cost of my flights, but TravelSkills paid for hotels, meals and transfers related to this five-day trip. Checking in at SFO for an 11:25 pm departure was fast and easy. My ticket did not allow me to select a seat ahead of time, so I was worried that I’d be stuck in one of the few middle seats in business class. So I arrived at the airport early planning to spend a couple hours working in the lounge. Lo and behold, at check in there was one seat left upstairs in the “business class bubble” so I snagged it! 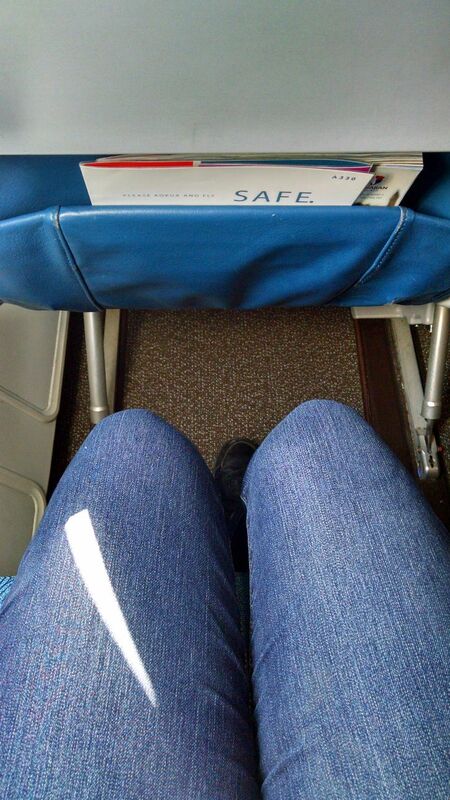 Seat 14B is an aisle exit row, so I had miles of legroom. How much? 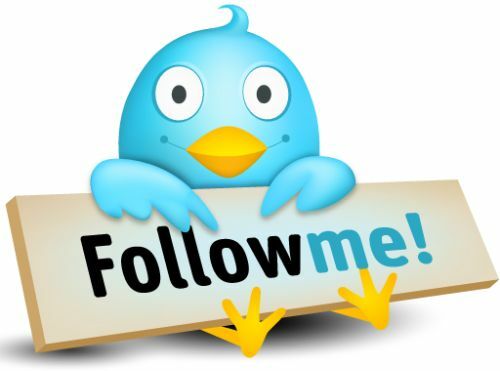 See this. 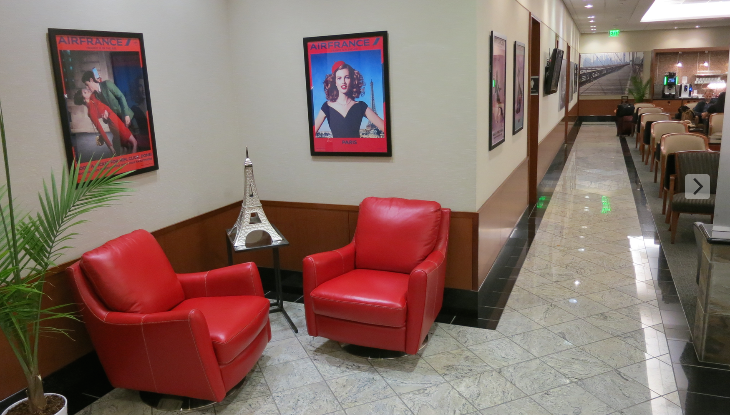 At SFO, QANTAS passengers must use the Air France / KLM lounge. 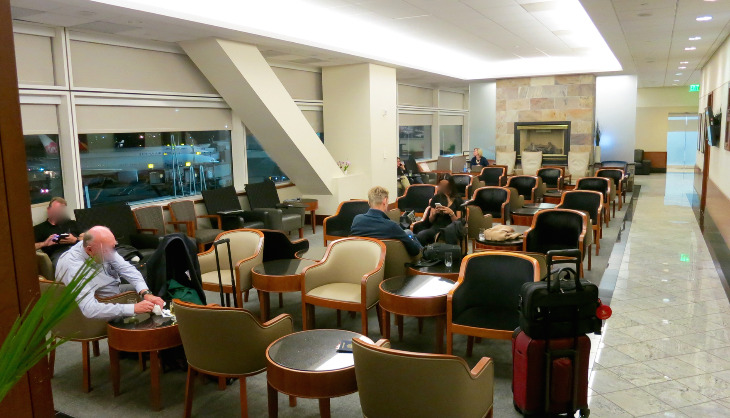 While I was hoping that I might be able to slip into the lounges of Oneworld partners such as British Airways or Cathay Pacific, I learned that due to crowding issues at night, QANTAS passengers are only provided access to the Air France / KLM Lounge. My expectations for the lounge were set low– I had heard that there was nothing special about this lounge. But when I entered, I was greeted nicely by two fun and interesting agents who explained to me that I had to be sure and see BOTH rooms in the lounge. Apparently, many lounge visitors think the lounge is just the first room you see (above). But there’s a somewhat hidden door that leads to a much larger room with a big buffet, and plenty of tables and chairs. The back room was definitely where the action was. This lounge used to belong to Northwest Airlines. 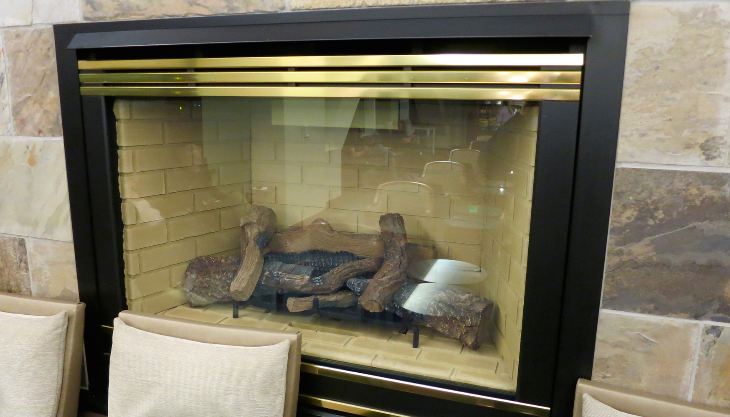 Remember when most NWA lounges had fireplaces? This relic (not working) is still there, which adds a homey feel to the space. Apparently the fireplace will be removed next time this lounge is updated. What the Air France / KLM lounge lacks in atmosphere is made up for in the service you get once inside. 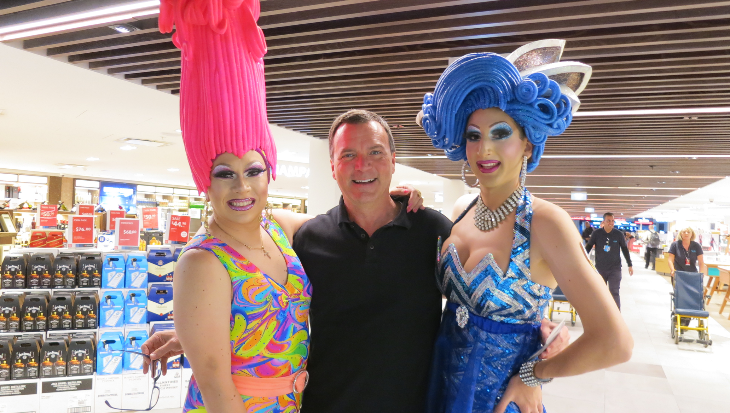 As I said, the door agents were fun and friendly (we joked about feeling French when flying to Australia). Inside the lounge, servers were all over the place, passing snacks, cleaning up and interacting with travelers. I arrived early, and the place was pretty empty, but as flight time approached, seat space became scant– it was a good thing that they had staffed up for the crunch. I was impressed by the amount and variety of food and drink on offer at the KLM / AF lounge that QANTAS uses. The lounge also had a noisy and convivial feel– mostly Australians enjoying a beer and time with friends and colleagues on their way home. Due to my status as a travel writer, I received a special favor– I asked if I could board five minutes early so I could get some good photos of the plane before it filled up with passengers. At the last minute my wish was granted, so I scrambled on board, up the “stairway to heaven,” threw my bags down and took off with flight attendant Jerry for a quick tour of the plane INCLUDING a look at the secret crew rest area in the aft section of the “bubble” with access via a special stairway from the main deck. See that here or scroll to the bottom for the video. This big bird has a crew of 14 flight attendants and four pilots and on a 14+ hour flight, they need a place to hide! There’s not a better place in the world than upstairs in business class on a Boeing 747-400. On QANTAS there are 18 seats up here configured 2-2 with a galley in the back and a lavatory and door to the cockpit up front. I was seated in 14B- the seat (seen below) with the suitcase in front of it. Not only is it in the cosy confines of the business class bubble, it’s an exit row seat. Upside of this seat: limitless legroom and no interference from your neighbor getting up. Downside: In seat storage is almost nil– window seat passengers get those nice big bins along the windows, but aisle seats don’t. Another downside with this seat: it’s tough seeing out the windows. QANTAS 747-400 business class seats are the same ones you’ll find on its A380s– fully flat, lumbar controls and with a nice massage feature. The massage was nice, but controlling it via these buttons was difficult. There is no wi-fi onboard QANTAS 747s. While upstairs is nice, downstairs in the nose of the 747 is a pretty nice space, too. 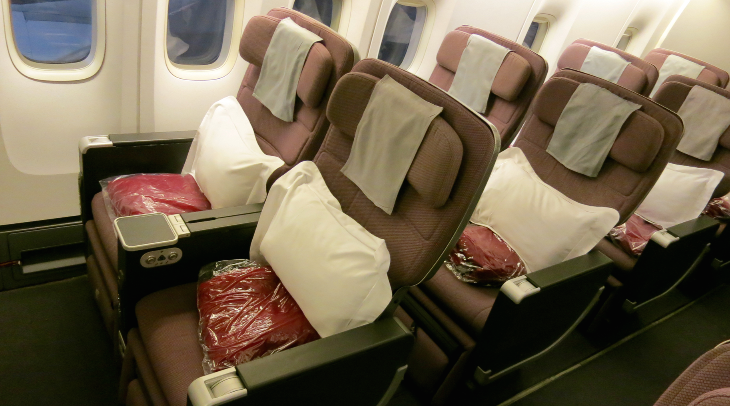 Especially if you are seated in row 1– these seats are super private and quiet and insiders say that this is usually where QANTAS seats its superstar VIP guests. The best seats on the main deck are row 1 (for privacy) and also row 5 if you are traveling alone- that’s because these two seats (B&J) are solo seats– there’s no one seated next to you. 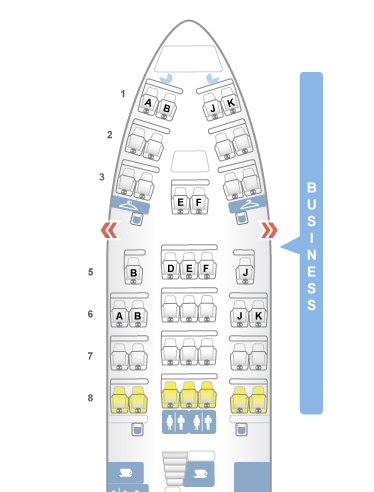 See what I mean here on the 747-400 V2 three class layout on SeatGuru. Seats to avoid if possible would be the three middle seats on row 5, 6, 7 and 8. There are 270 economy class seats on this big bird. One cabin is green (pictured), the other is pinkish maroon. The best seats are those in the mid-cabin area. Avoid seats at the front or the rear of the cabins due to lines that form near lavatories. 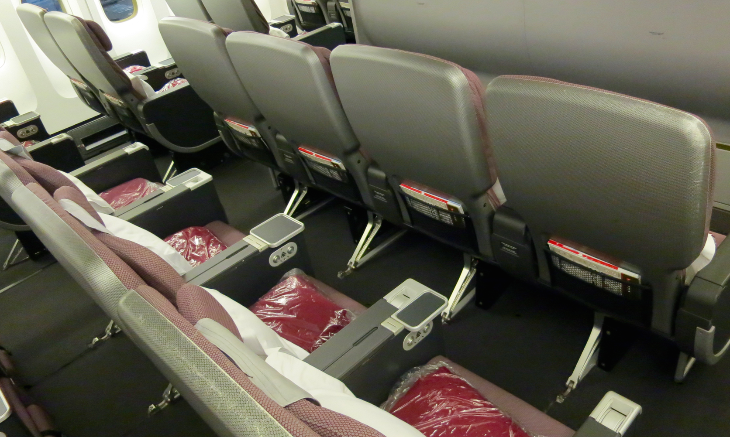 QANTAS also offers a distinct premium economy section with 26 seats configured 2-4-2 with wider seats and arm rests. Premium economy passengers also get a special menu, noise canceling headsets, preflight champagne, and special amenity kits. I’m usually not one to fuss over pajamas, but on a 14+ hour flight it was very nice to change into a shirt I’d not spent the night in. Plus, you get to keep the PJs for use at home (or for gifting those who did not get to go on this trip). I was disappointed that we did not get any menus on this flight… I usually like to peruse and photograph them. But on this flight there was a snafu due to the change from February to March, and the menus did not get loaded. So my choice was made based on a description provided by the flight attendant. I chose to go with salmon and was not disappointed. It tasted delicious, and was a right sized portion. 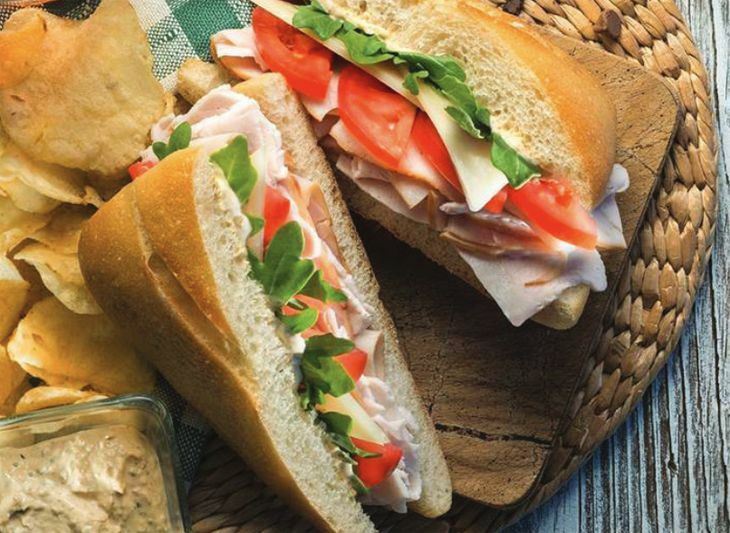 Not pictured is the bread– flight attendants roll out two big loaves of warm bread (sourdough and whole wheat) which they offer while serving the main course. Warm bread is always nice. 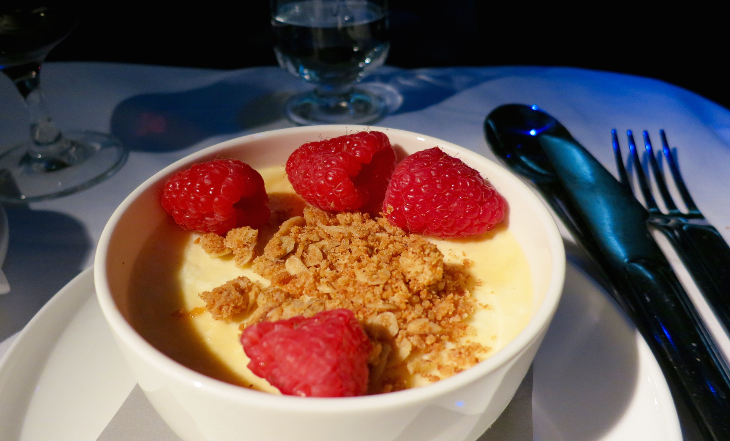 Since I knew I’d be trying to sleep on this flight, I ate about half my entree and a few bites of this cool and velvety vanilla custard. After that, it was time to hit the sack on my cozy quilted lie flat seat. I tried to watch “The Intern” after my meal, but started to doze off. 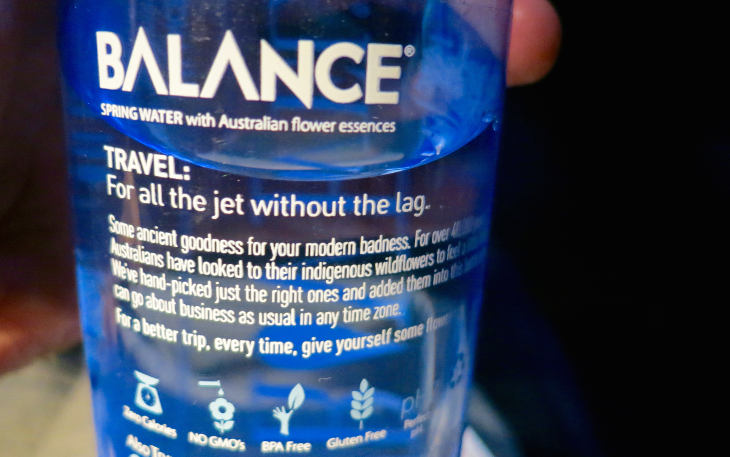 Once I put my seat down, Jerry was there with a bottle of flower-enhanced Balance water– supposedly to help with jet lag. You know what? It worked! No jet lag at all on this trip. But that might have more to do with the fact that I slept for 8 hours on this flight…. amazing because I rarely get 8 hours at home! 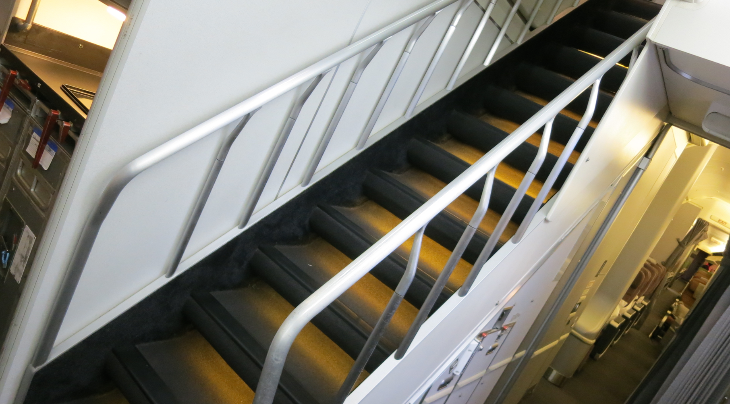 Here’s what worked for me: First, of course is the true lie-flat seat upstairs on a 747. Second, I made it a point to eat lightly and only had one glass of wine with dinner. Third, on this flight I tried using Mack’s Moldable Silicone Earplugs– each one is a small plug of translucent putty that covers up your entire ear canal and truly blocks out all sound. That, along with my Bucky eyemask and I was down for the count! On this flight I slept for nearly 8 hours — I remember falling asleep as we approached Hawaii and I woke up with only about 2-3 hours flying time left! Wow! I could not believe my eyes when I woke up and looked at my watch at around 6 am Sydney time. Perfect time for a flat white! 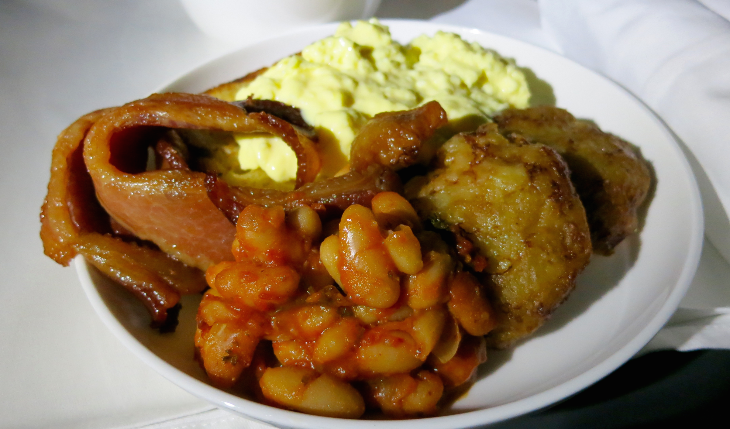 I strolled back to the galley to find the second of two flight attendants plating breakfast and making toast in a big toaster– that burnt bread smell reminded me of breakfast at my Canadian Granny’s house! After a full night of sleep and a flat white, I was raring to go. 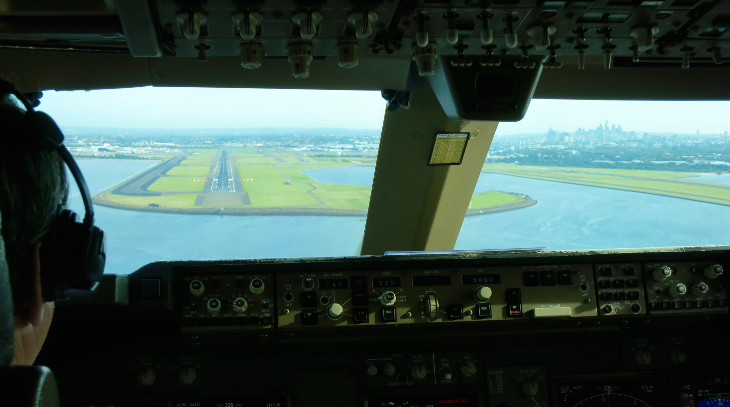 In that sharpened state, I asked our flight attendant if I could pass my camera to the pilots to take some shots of the approach to SYD. They agreed and took about 30 shots- the best of which I posted below. Very cool! Arrival at Sydney was quick and easy via kiosk. No lines at all at 8 am. 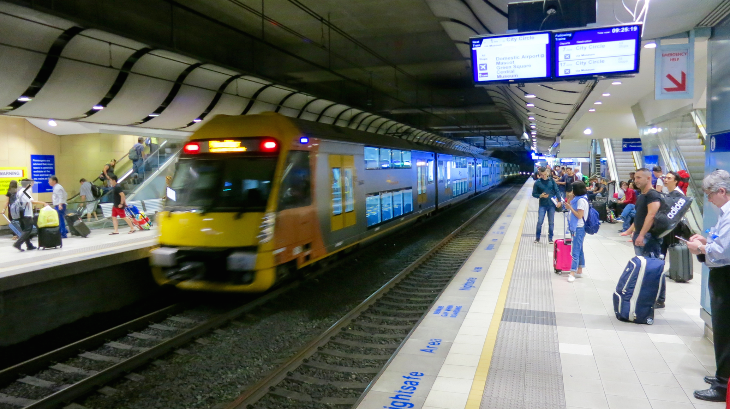 Getting into the city for my meetings was a cinch using the quick and easy Airport Link, which takes about 20 minutes to reach the Central Business District or “CBD” as Sydneysiders say. Fares run about US$13 each way for the 20 minute ride to town– that’s pricey for two, but definitely beats the morning traffic. Taxicab fares run about US$35. The train dropped me just a couple blocks from my Sydney hotel- easy! 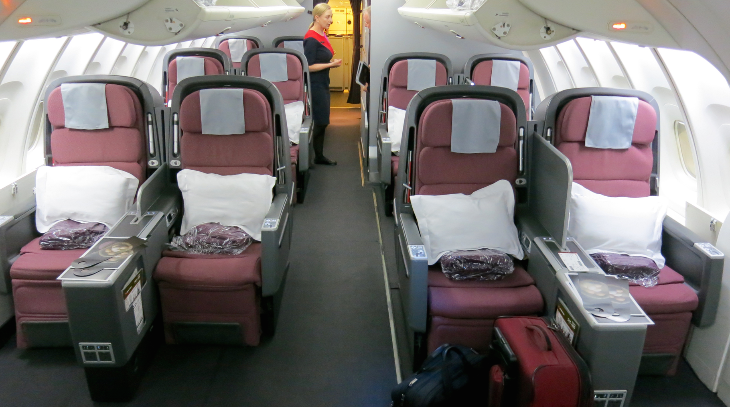 By the way, did you see my post: Trip Report: newest business class hotels in Sydney? Read up! 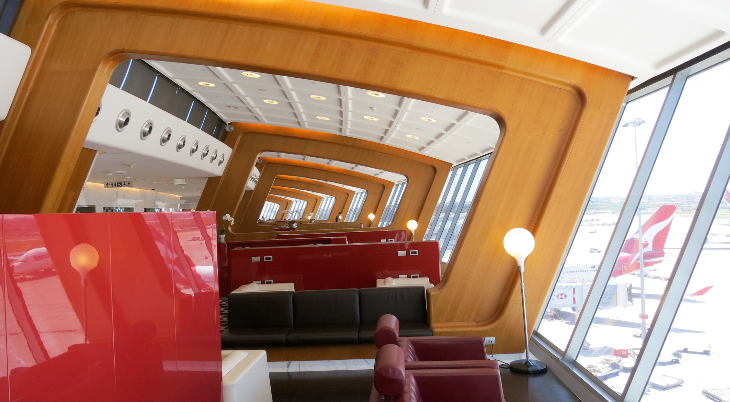 And stay tuned for a follow up post to this one where I’ll explore QANTAS’ flagship first and business class lounges at SYD! Disclosure: QANTAS covered the cost of Chris’ flights. 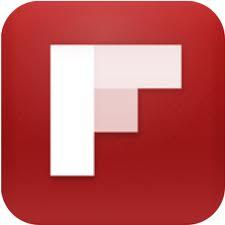 TravelSkills paid for related hotels, meals and transfers. Economy class passengers on two major airlines are finally getting something that doesn’t have a fee attached to it. 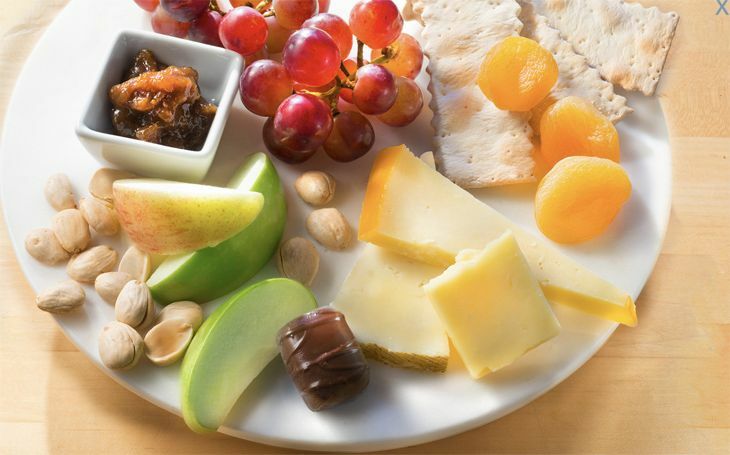 United Airlines this week initiated its previously announced plan to start giving free snacks to the folks in coach – and rival American Airlines now says it will do the same thing beginning this month. Delta is rolling out on new freebies on a limited basis, but it did announce some new, healthy economy items for purchase in economy class. 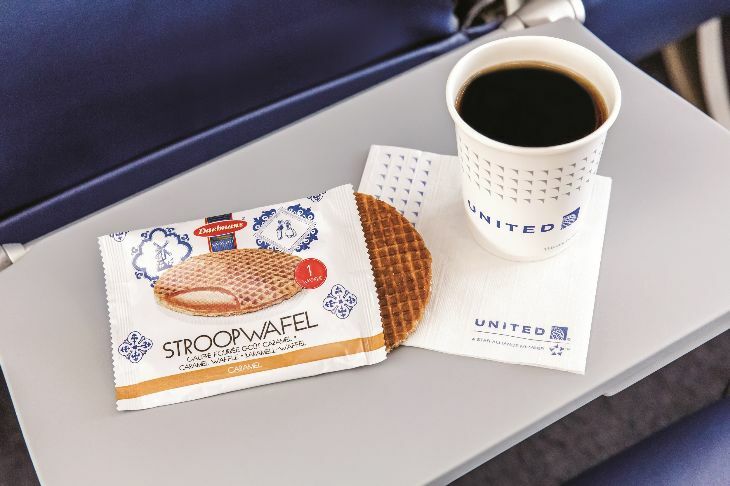 Economy flyers on United’s routes within North America and to and from Central America can now get a free Stroopwafel (a toasted waffle with caramel filling) on morning flights. Later in the day, free items include snack mixes of either rice crackers, sesame sticks and wasabi peas; or mini pretzel sticks, Cajun corn sticks and ranch soy nuts. American, meanwhile, said it will begin free snacking in coach this month on transcontinental flights (JFK-LAX, JFK-SFO and MIA-LAX), and will extend it to all domestic flights by April. 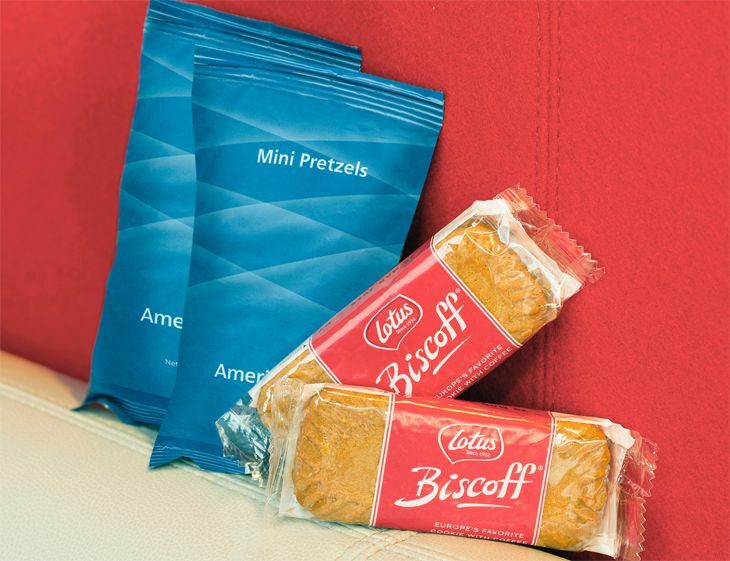 The morning snack on AA will be a packet of Biscoff cookies; later in the day, economy passengers will get either the Biscoff cookies or pretzels. 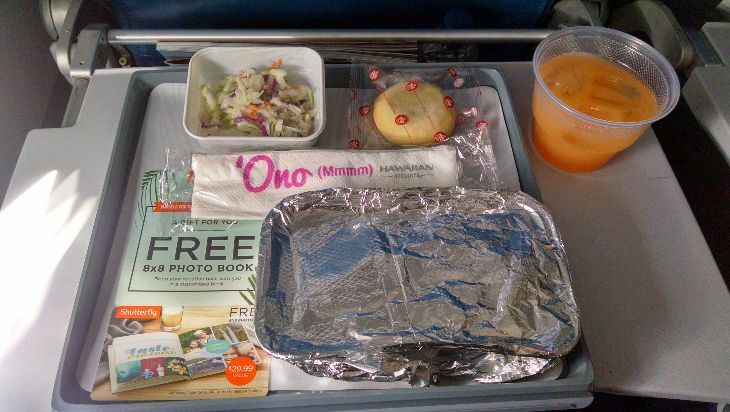 And in May, American said, it intends to start giving free meals to economy passengers traveling between Dallas/Ft. Worth and Hawaii. American also said it is expanding free entertainment options on domestic flights equipped with in-seat entertainment, boosting the programming to include up to 40 movie selections, 60 TV programs and 300 music albums. The carrier noted that live TV channels are now available on Wi-Fi-equipped international flights of its 777-300ERs, retrofitted 777-200ERs and 787-8s. 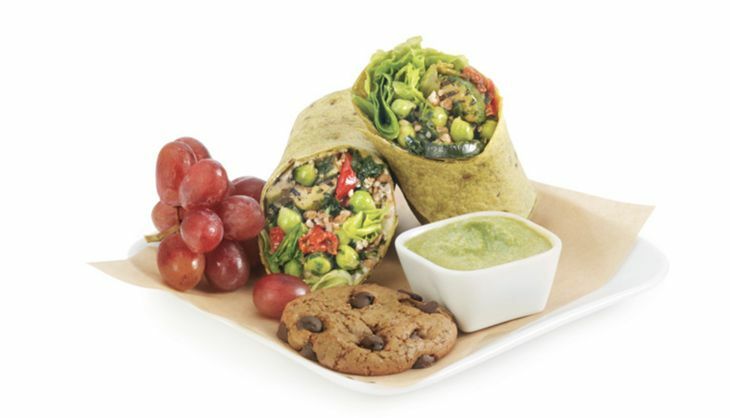 Meanwhile, Delta said it is introducing some new healthy food options for purchase this week — a trio of wraps from Luvo available to Main Cabin and Delta Comfort+ passengers on North American flights longer than 1,400 miles. They will be offered for free to Delta Comfort+ flyers on the airline’s JFK-LAX and JFK-SFO non-stops, Delta said. The new Luvo wraps, all with no more than 480 calories and limited sodium, include a southwest grilled chicken option, sesame grilled chicken, and a Mediterranean whole grain veggie wrap. Luvo Southwest Grilled Chicken Wrap (470 calories) – Grilled chicken wrapped with a multi-grain salad (whole grain barley, millet, and bulgur with black beans, corn and roasted tomatoes) in a cilantro Greek yogurt dressing with arugula, romaine and green garbanzo hummus in a tomato whole grain tortilla. 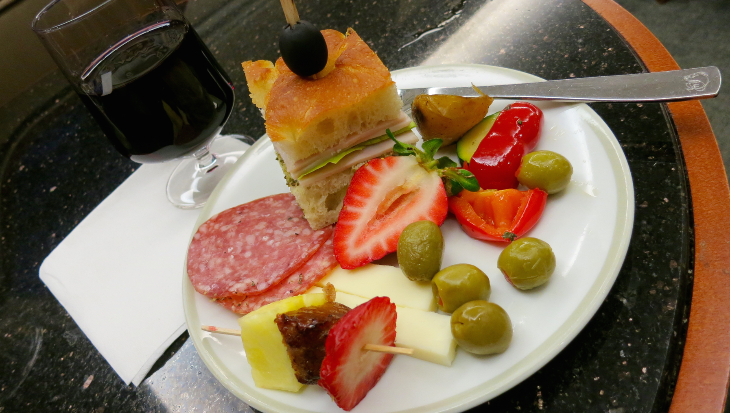 I’m a fan of Delta’s Luvo snacks… but what do you think about the new food options from airlines? Please leave your comments below. The latest developments in international carriers’ long-haul fleets include Lufthansa’s completion of a long-term cabin overhaul, British Airways’ re-commitment to a disappearing wide-body, and Singapore Airlines resetting of premium economy schedules. Lufthansa said it has finally finished a four-year project that it calls “the most extensive cabin renewal program in the company’s history” — an overhaul of business class and economy class in all 106 of its long-haul aircraft. 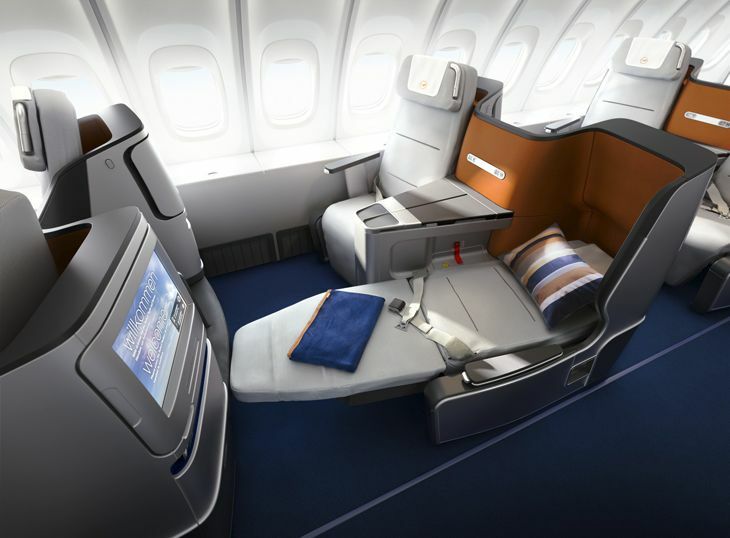 In addition, 76 of the planes also have new first class cabins now, Lufthansa said, and by this fall, all long-haul flights will also offer a premium economy section. Lufthansa CEO Carsten Spohr first told TravelSkills about the seat upgrade plan in a interview back in 2011. 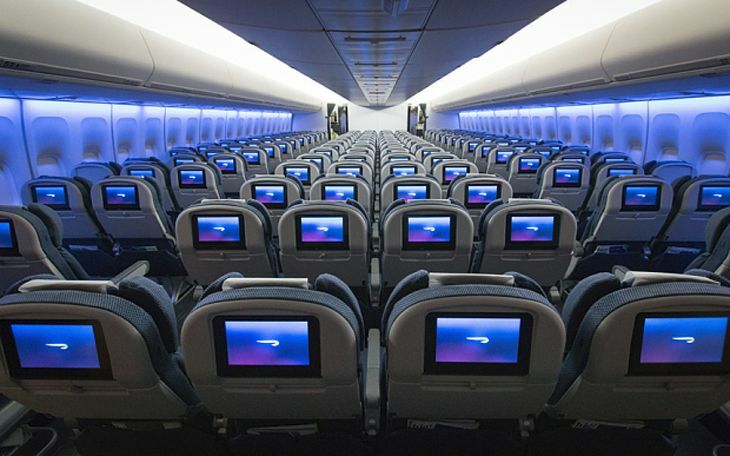 In all, the airline spent $1.7 billion installing or modifying a total of 39,000 seats — including 7,000 new fully-flat seats in business class and 3,600 seats in premium economy class, “which has already become a best-seller,” the airline said. The work also included installation of new in-flight entertainment screens with more audio and video content, and the deployment of Lufthansa’s on-board broadband Wi-Fi network called FlyNet, now available on all long-haul flights. While many airlines are phasing out their four-engine Boeing 747s in favor of new twin-engine long-haul aircraft, British Airways decided to keep the big birds around for a while. So BA is refitting the Boeing jumbos, and the first one to be finished just went into service between London Heathrow and New York. They’ll also be flying from LHR to Chicago and Boston, as well as Lagos, Riyadh and Kuwait. Among the improvements in BA’s 18 747s: A new in-flight entertainment system from Panasonic Avionics called the eX3, its most advanced version. It provides passengers with high-res touch-screens, along with 1,300 hours of programming, including 400 TV shows and 130 films. 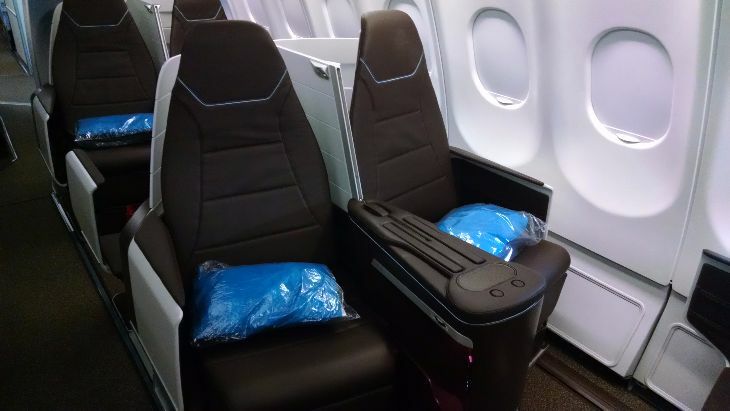 Seats in both economy and premium economy got new foam and new covers matching those in BA’s other long-haul models. Seats in premium economy (World Traveller Plus) got universal power sockets, while economy (World Traveller) seats got USB ports for charging devices. Don’t miss: British Airways 100,000 Avios offer is back! Some U.S. passengers who were hoping to try out the new premium economy seating section on Singapore Airlines will have to wait a little longer. The company said the installations are not going as fast as hoped, so it will have to reaccommodate some passengers who have already booked the new cabin on some of its early flights. On the Singapore-Tokyo-Los Angeles route (SQ012/011), premium economy will not be available December 1 to January 16 on Tuesday, Friday and Sunday flights; and December 2-January 29 for other days of the week, the airline said. On the Singapore-Frankfurt-New York route, premium economy will not debut as planned on December 14, but the airline gave no new starting date for the seats. The airline released a chart of all the affected international routes. 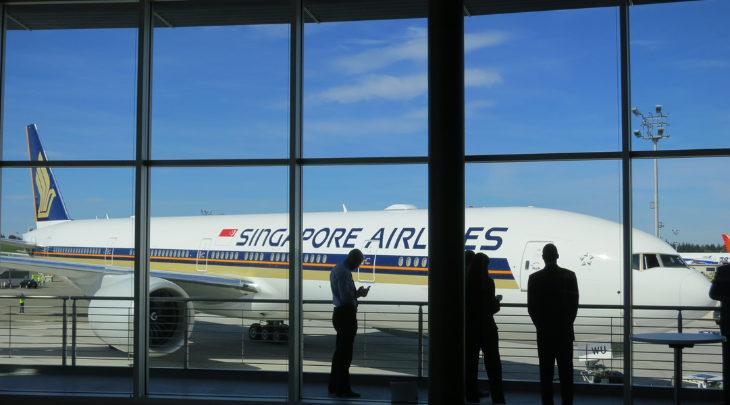 “Customers with ticketed bookings who are affected by the delays will be contacted progressively by Singapore Airlines or travel agents to offer alternative travel arrangements,” the airline said. BEST for Big Sign-up Bonus. British Airways Visa Signature® Card 0ffers a nice 50,000 Avios sign up bonus after you spend $2,000 in the first three months. 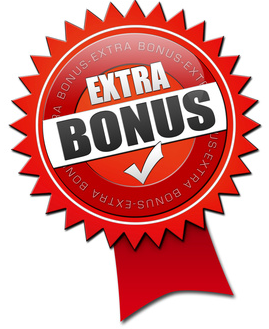 But get this: You’ll earn an additional 25,000 bonus Avios when you spend $10,000 on purchases for a total of 75,000 bonus Avios. Even better: You earn another 25,000 bonus Avios when you spend a total of $20,000 on purchases within your first year for a total of 100,000 bonus Avios. In addition to the sign up bonus, you earn three Avios for every dollar spent on BA, and a free companion ticket (any class) when you spend at least $30,000 in a year. Plus there are no foreign transaction fees, and the card has a chip making it easier to use in Europe and beyond. Annual fee is $95. More. 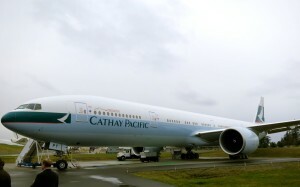 Cathay Pacific now has a Boeing 777-300ER and a Boeing 747-400 flying between San Francisco and Hong Kong every day. 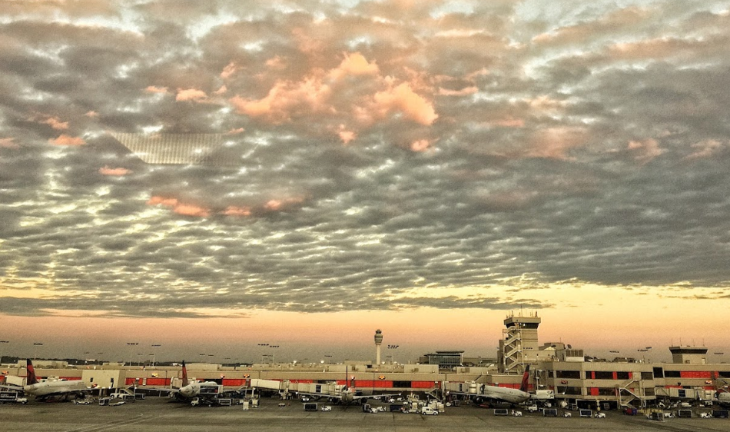 TravelSkills reader AG emailed us for some help on choosing the right flight. Dear Chris: I’m a long time reader of your travel articles on SFGate & TravelSkills. You provide some great insider knowledge of travel all over the world and I look forward to each new story that you post. 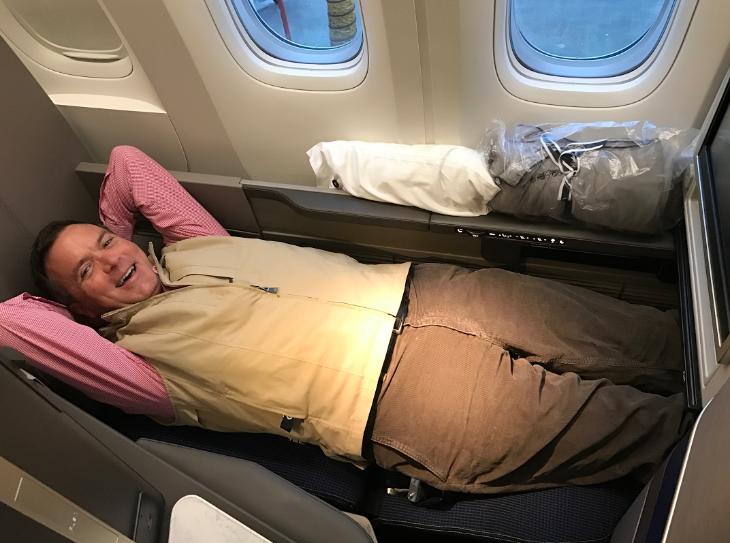 I was wondering if you could do an update to the story you originally posted about Cathay Pacific’s updated long haul cabins. In particular I was wondering if you could do an update on their plans on completing the swap out of their fixed shell economy class seating. When will that be finished for the SFO to Hong Kong route? I am not sure if you are aware how horrible those seats are in long haul economy. There is no recline in the seat shell. This helped keep your personal space as the passenger in the seat in front of you couldn’t recline into your space. 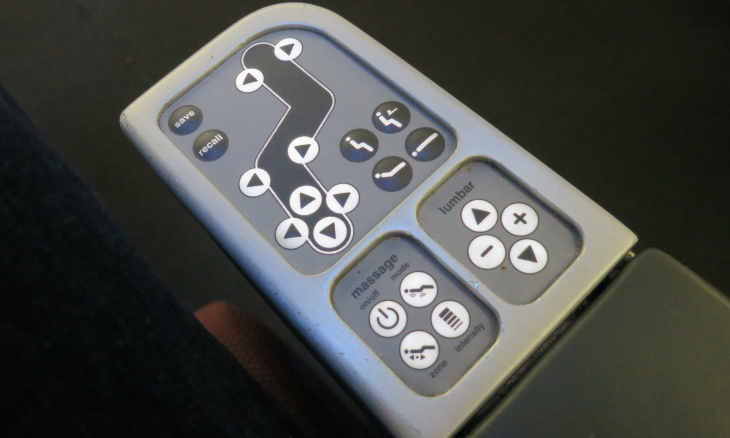 But the sacrifice with this design is that when you push the recline button, the seat slides down into the shell pushing your legs out and putting all the pressure in your lower back. Long haul flights in these types of seats are a nightmare for me and plenty of others have complained in reviews that can be found all over the internet. 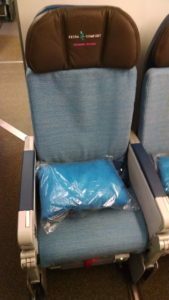 I’m a frequent flyer on Cathay and I was elated when I heard that they were swapping out those seats. The question I have is when are they going to swap them out for their twice daily flights out of SFO to Hong Kong and back? I read the Cathay website for information on the new Economy Class and I am even more confused. Some say only the Boeing 777-300ER’s are getting the new seats. But which ones? The ones flying out of SFO to HKG? 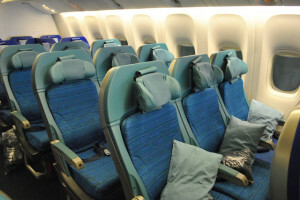 I have a trip planed for August and if they still have the old seats, I think I’m going to flip over to Singapore Airlines as my back will not be able to tolerate those old Cathay economy seats on another international flight. Thanks for this note AG! I think you’ll be pleased with the quick response from Cathay Pacific regarding recent aircraft changes on the SFO-HKG route—it now sounds like you have a choice between the fixed shell seat and the newer, more standard model. I’ve heard both sides on this issue… some folks love the protected personal space offered by a fixed shell. But it’s uncomfortable for others. I guess it just depends! 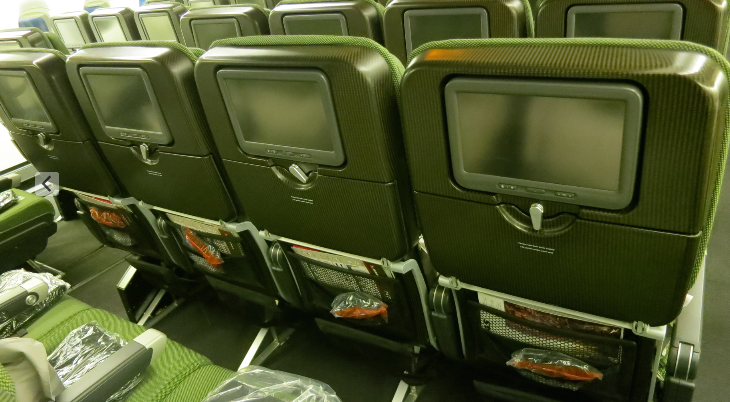 Cathay Pacific now has the new long-haul Economy seats on our Boeing 777ER, which is operated on the night flight from San Francisco (CX873). Regarding the 747, which is our daytime departure flight from SFO (CX879), we are not planning to replace it this year, and it will likely fly next year as well with the current Economy seats your reader refers to. While we do understand your reader’s frustration, many customers do appreciate the fixed shell back, which generates extra space by preventing the passenger in front from reclining into your personal space. The 747s serving SFO have been updated with a new personal TV content, a new Premium Economy cabin and refreshed business class product, but will retain the Economy seat for the foreseeable future. 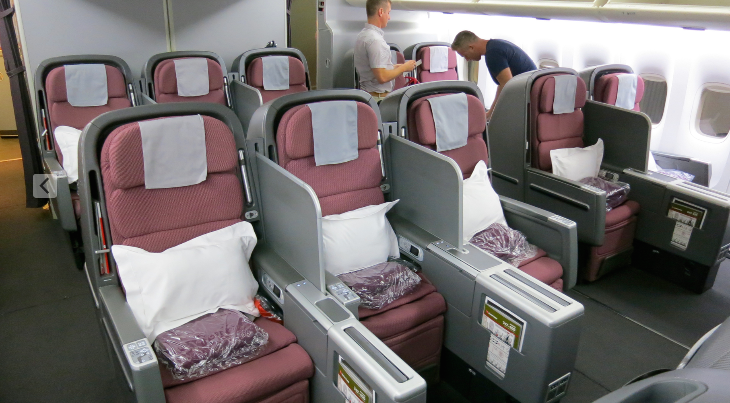 Our recommendation to your reader would be to book CX873 to experience the new Economy seat. 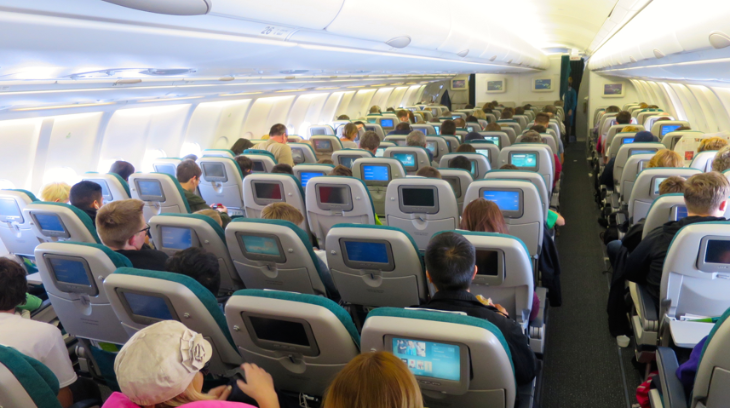 Jarratt added that both Cathay flights from SFO to Hong Kong now have Premium Economy cabins.